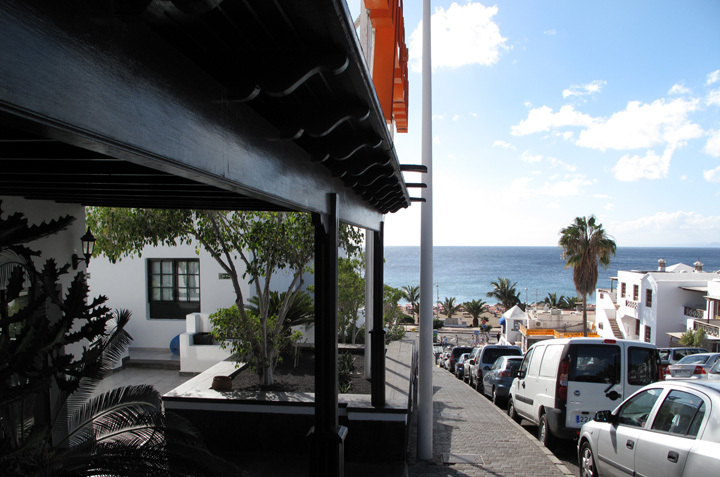 Photographs of our establishment and its surroundings. 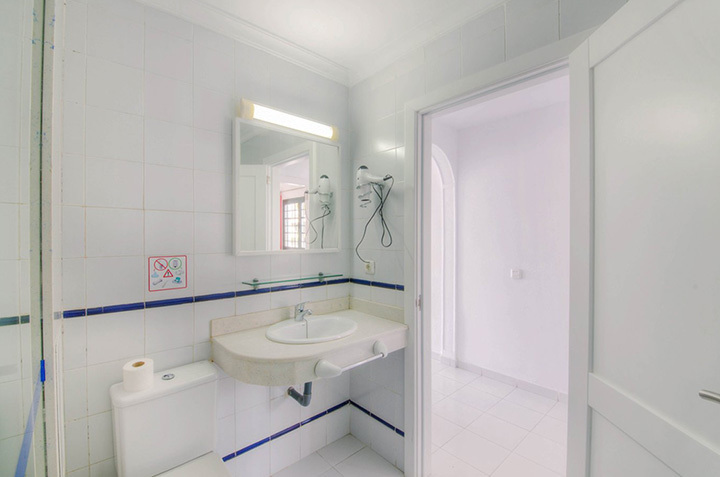 Real images, have only been optimized for correct viewing. 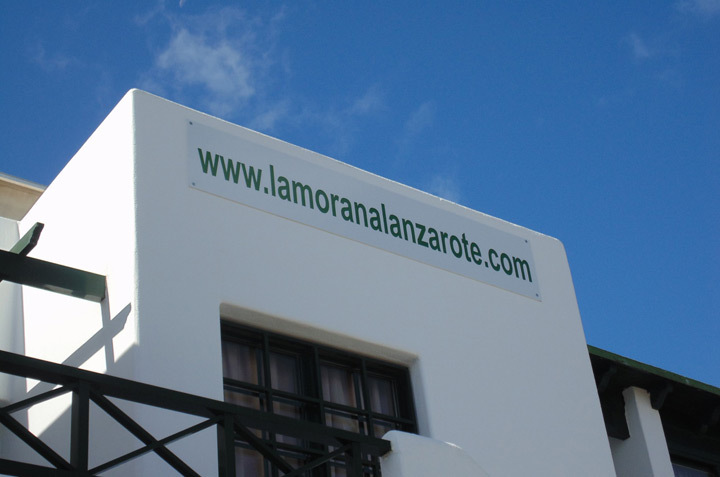 Photo Gallery La Moraña, Lanzarote. 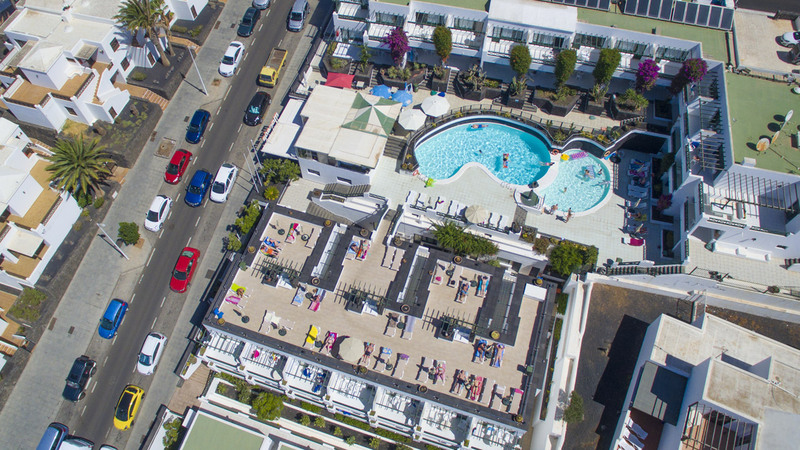 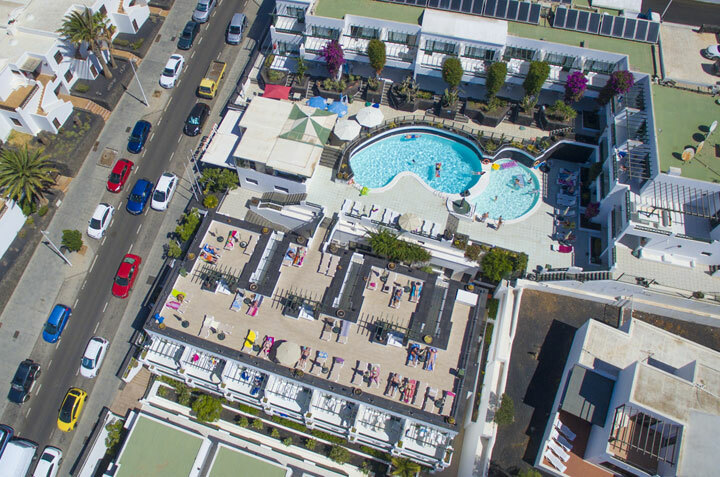 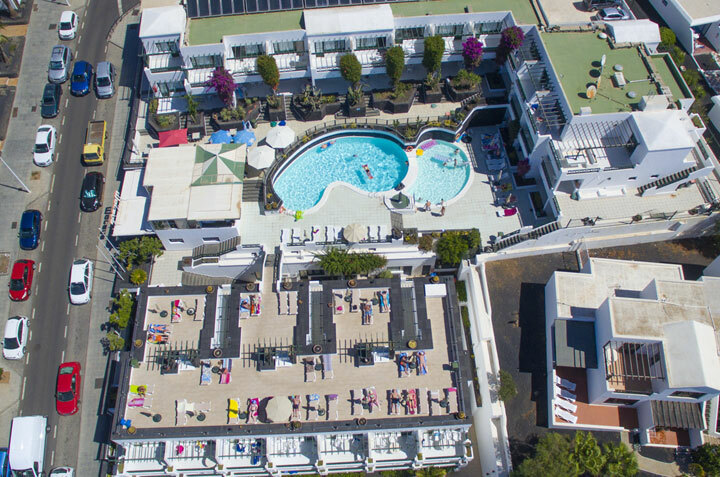 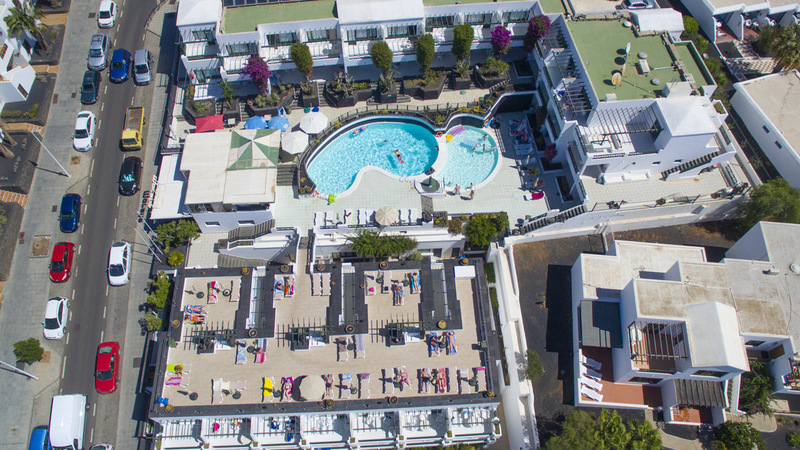 Aerial images, reception, pool and solarium area. 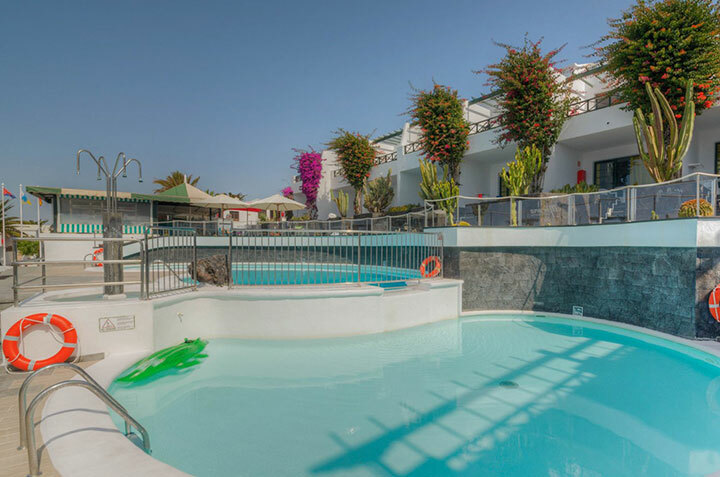 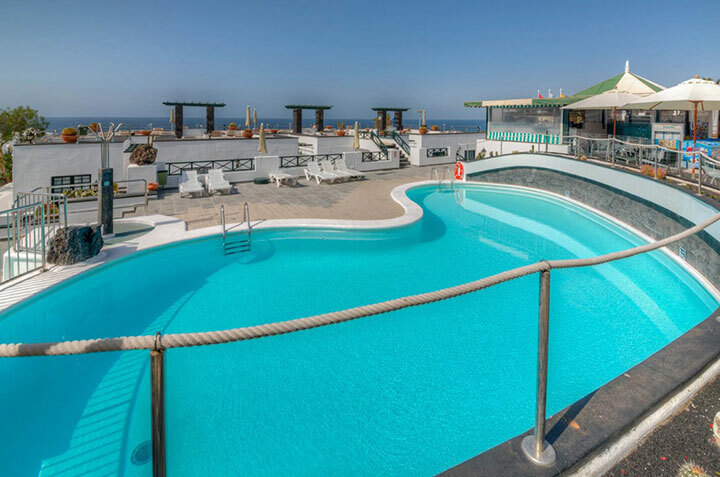 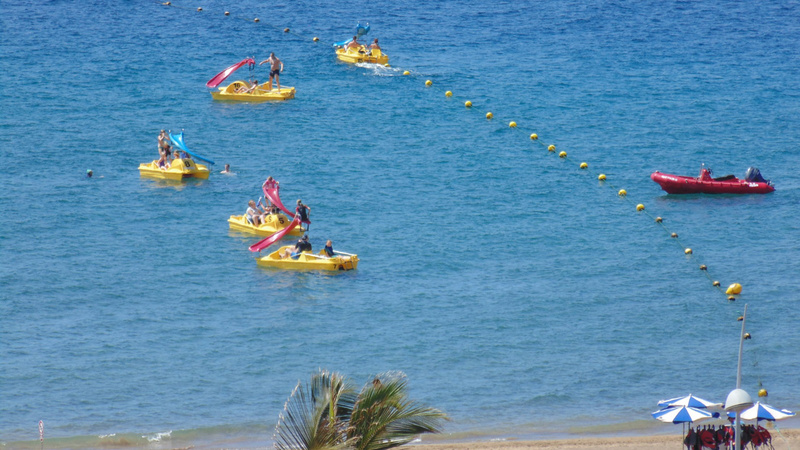 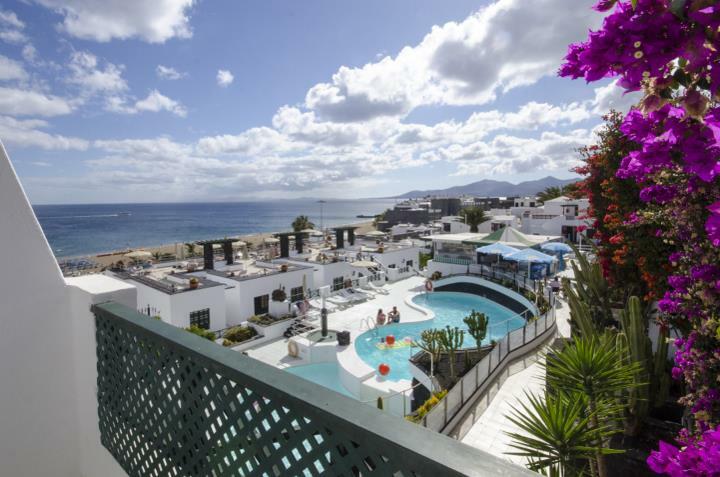 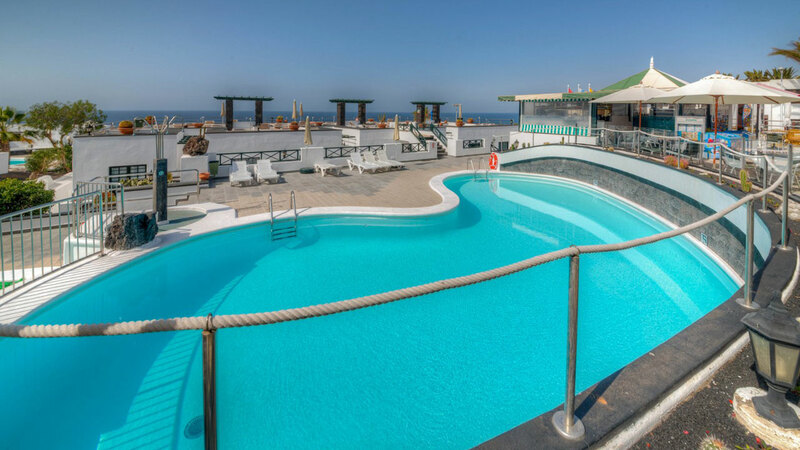 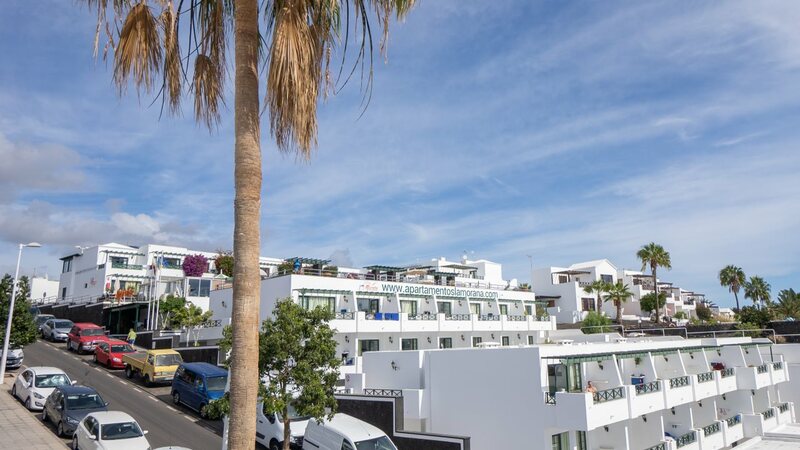 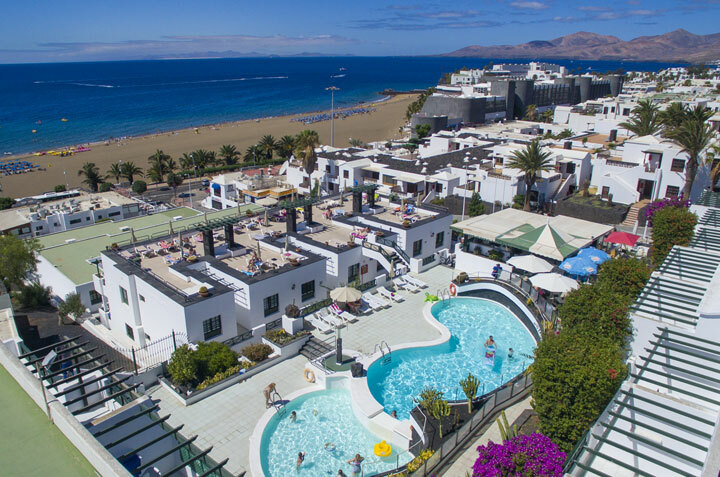 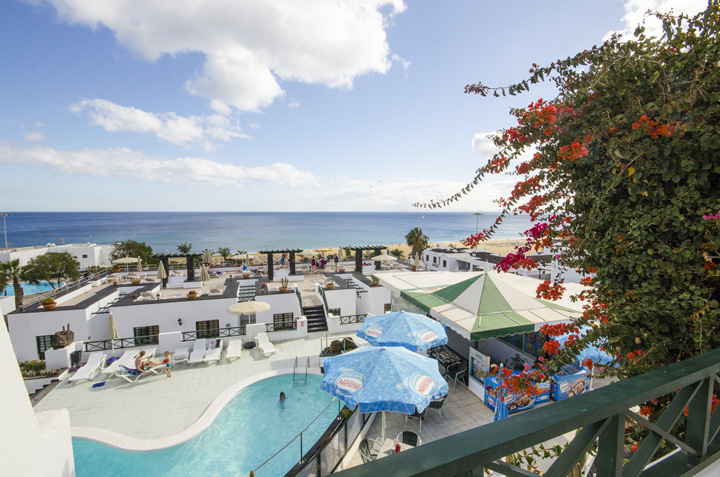 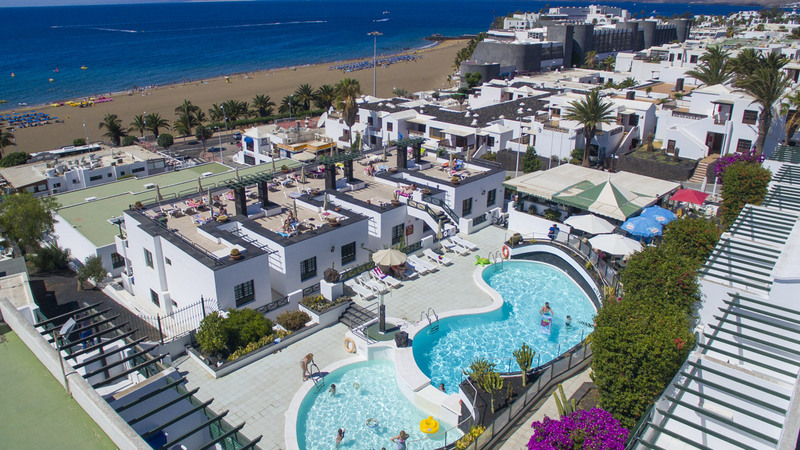 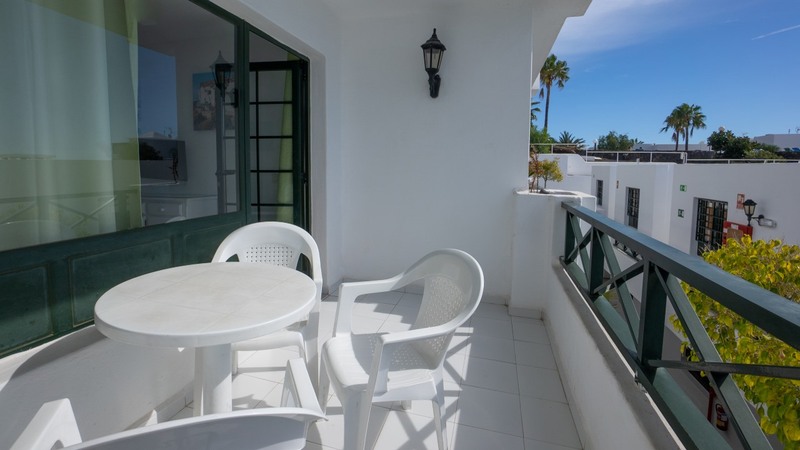 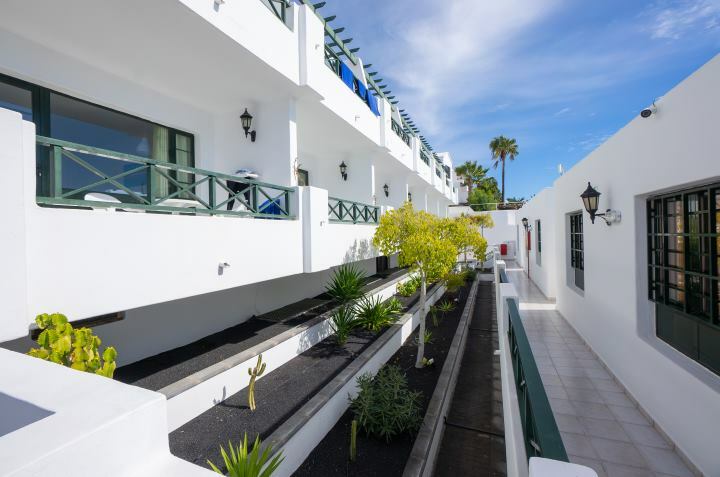 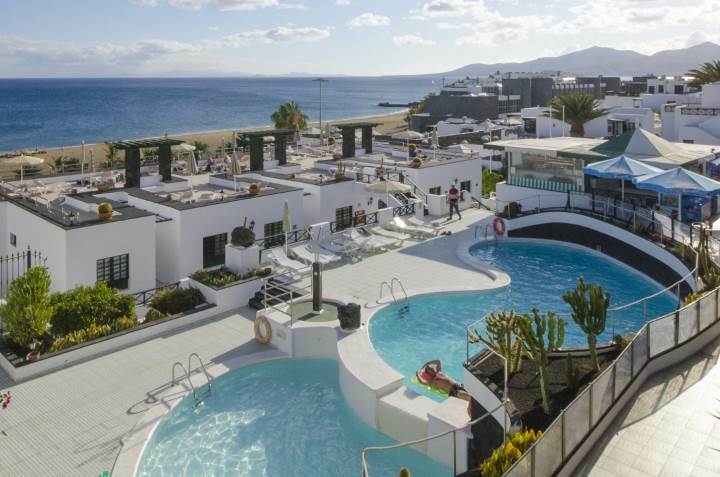 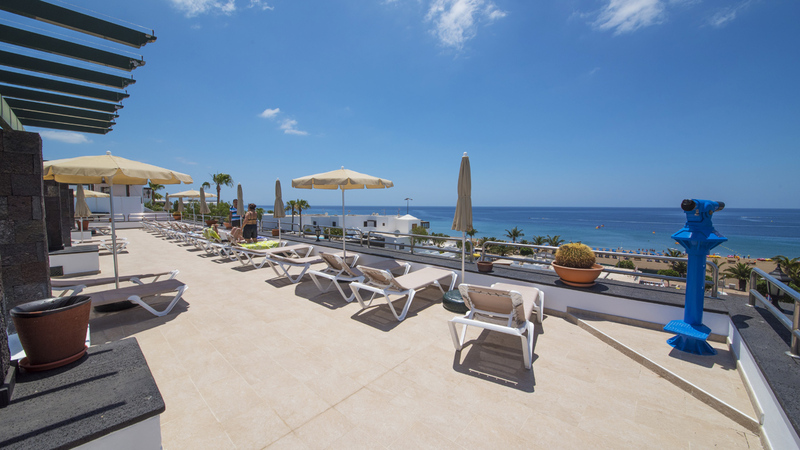 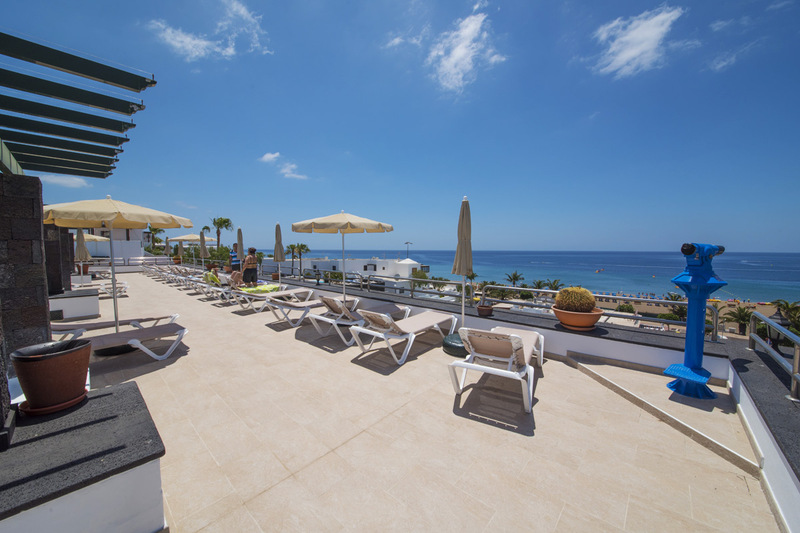 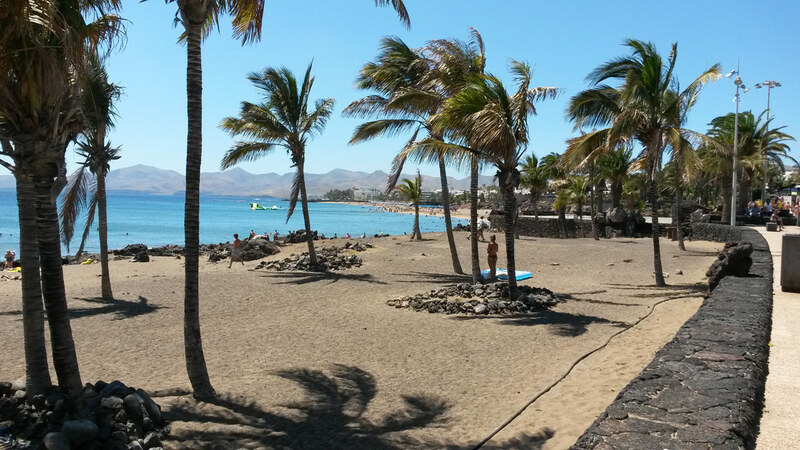 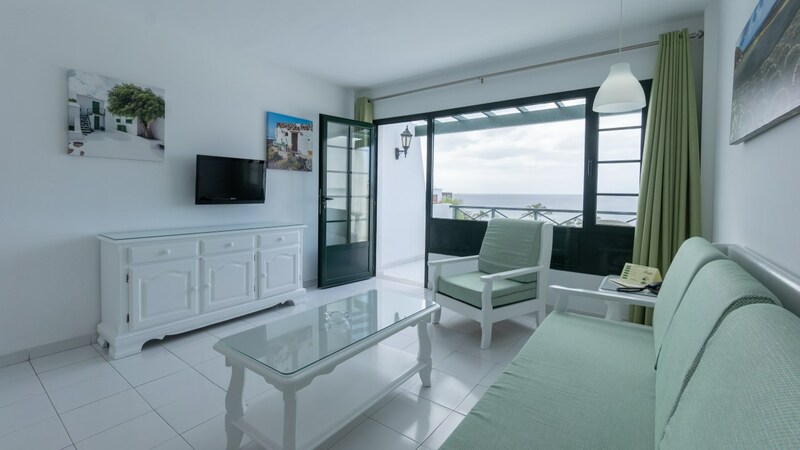 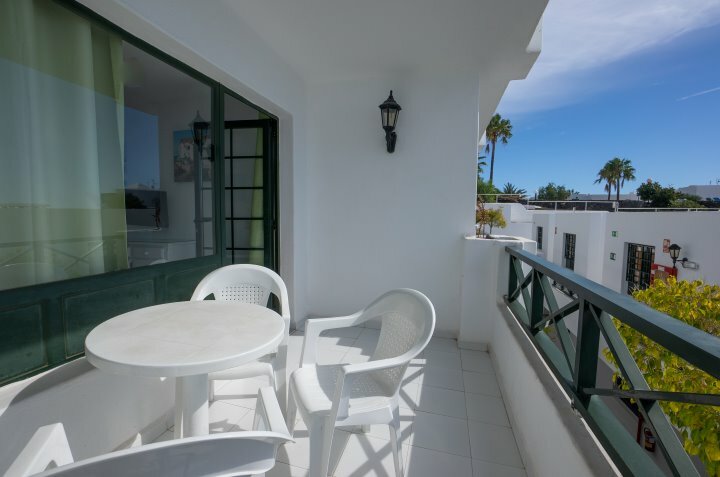 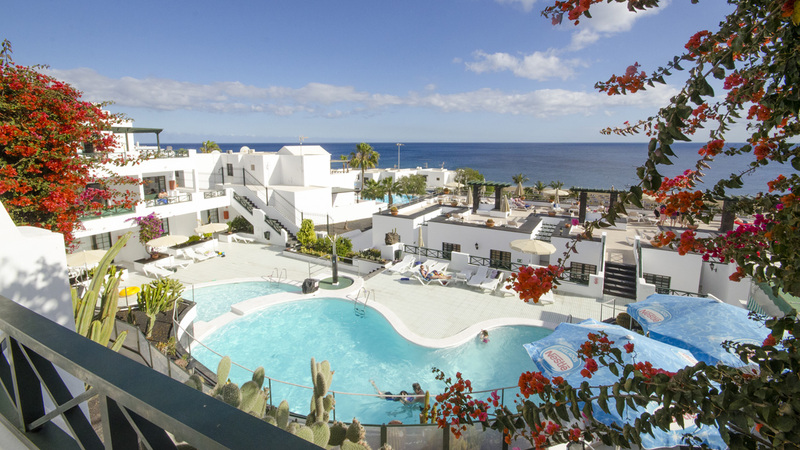 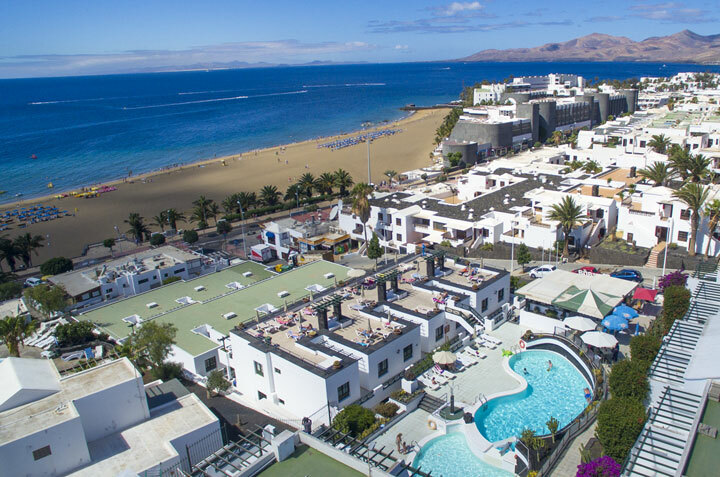 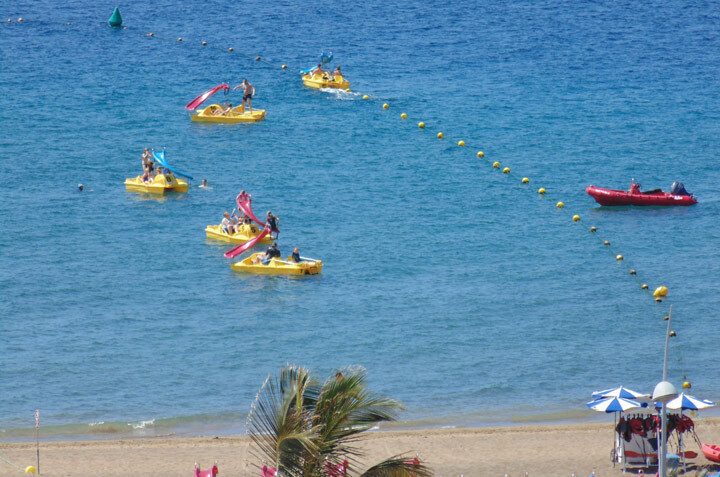 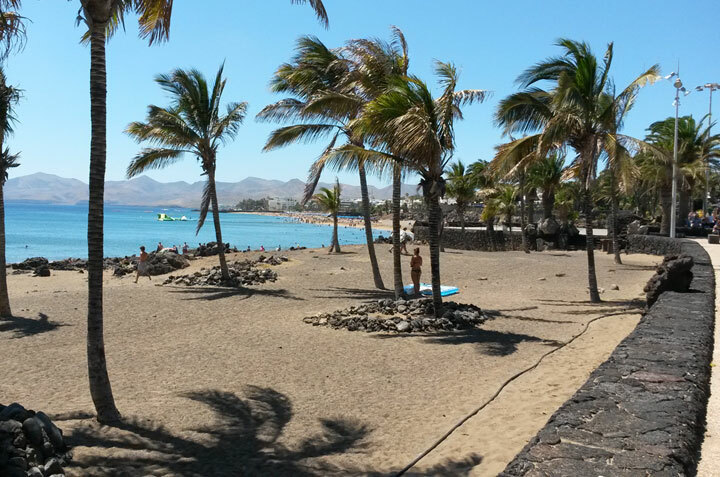 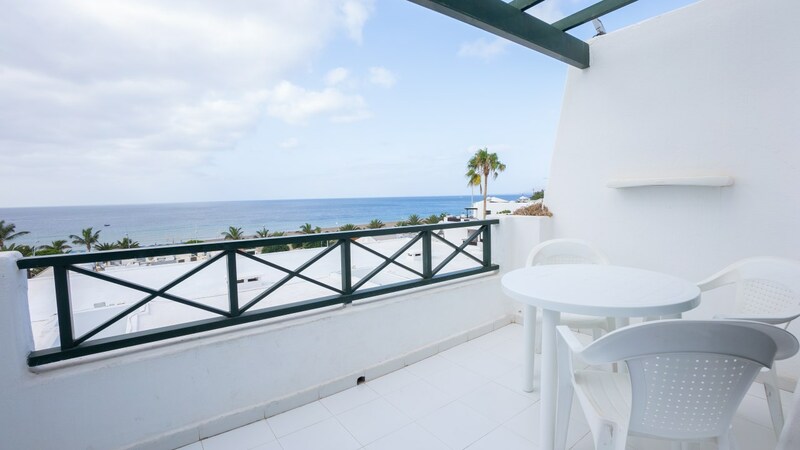 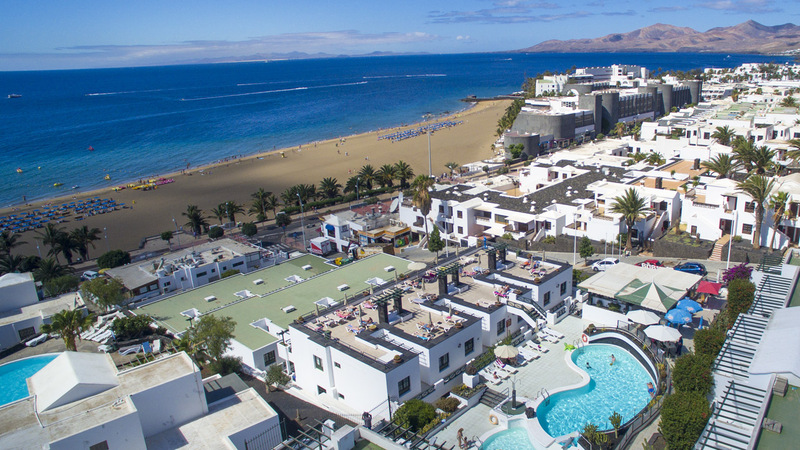 In this group of images the views belong to Puerto del Carmen area where our hotel is located opposite Playa Grande and thanks to be located on a small hill, we offer our guests a wonderful and very much appreciated views of the ocean. 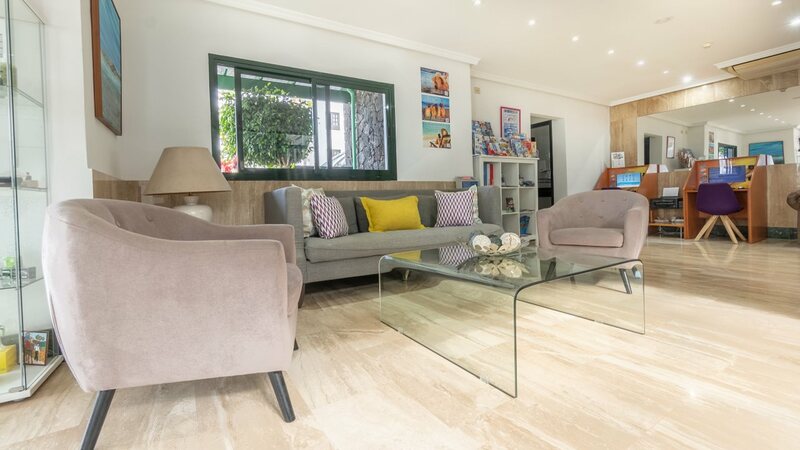 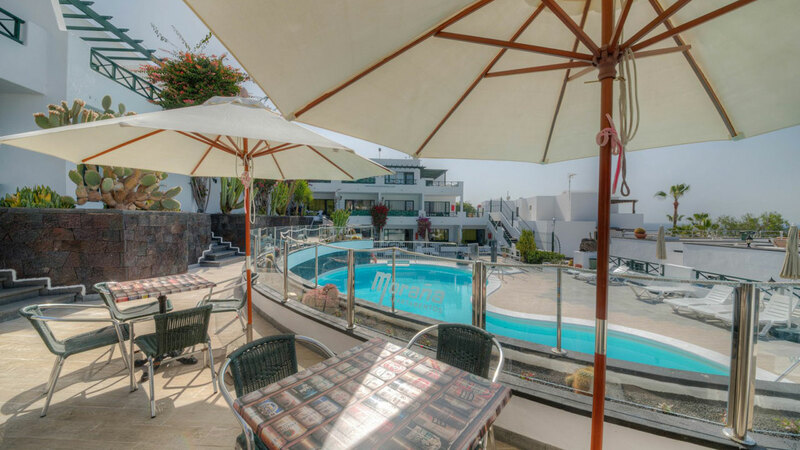 You can also appreciate our cozy reception and our swimming pool with an area for adults and one for children. 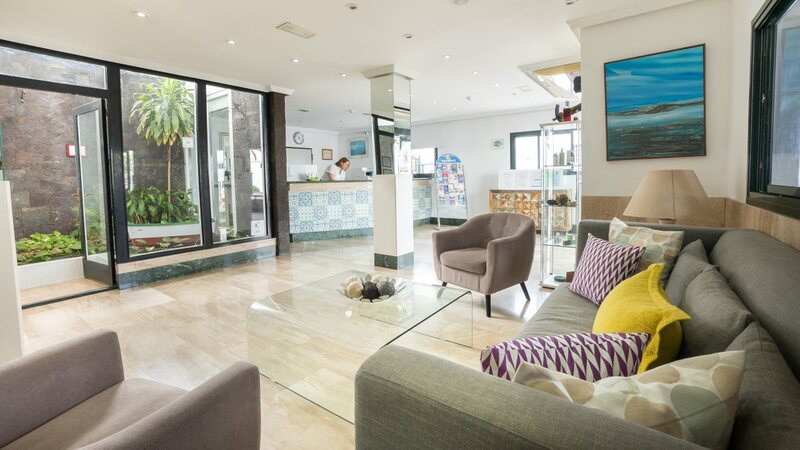 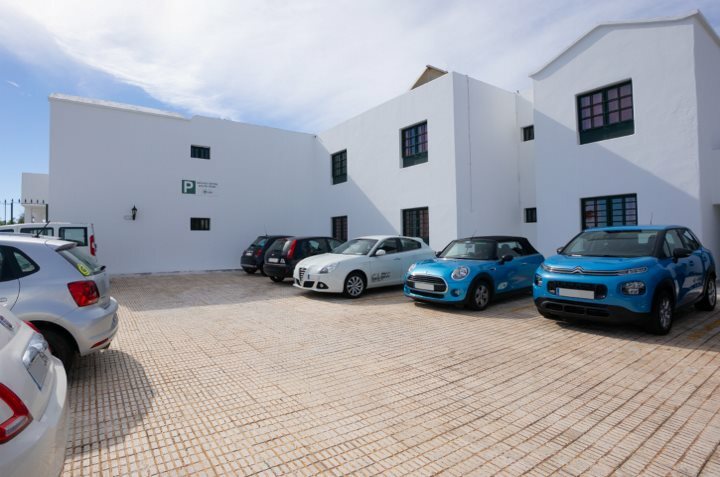 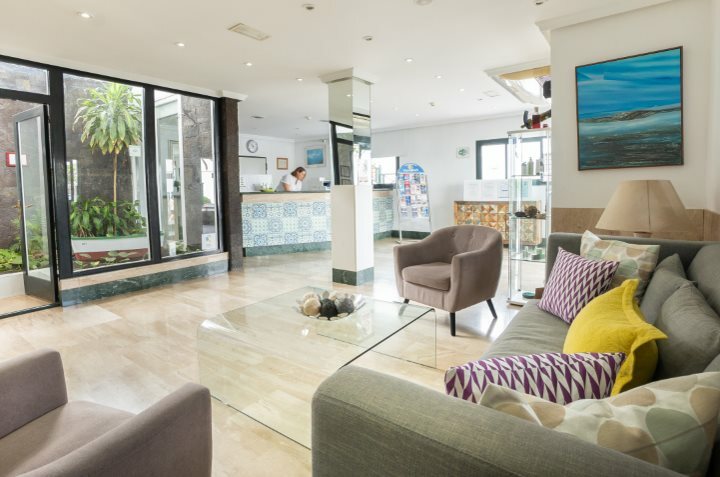 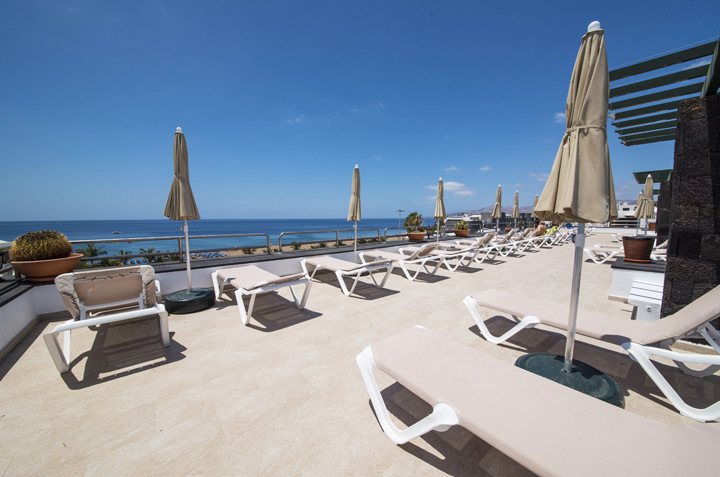 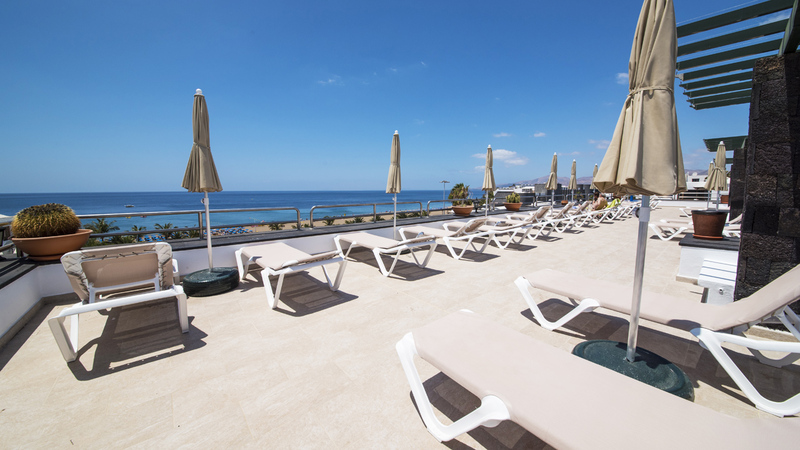 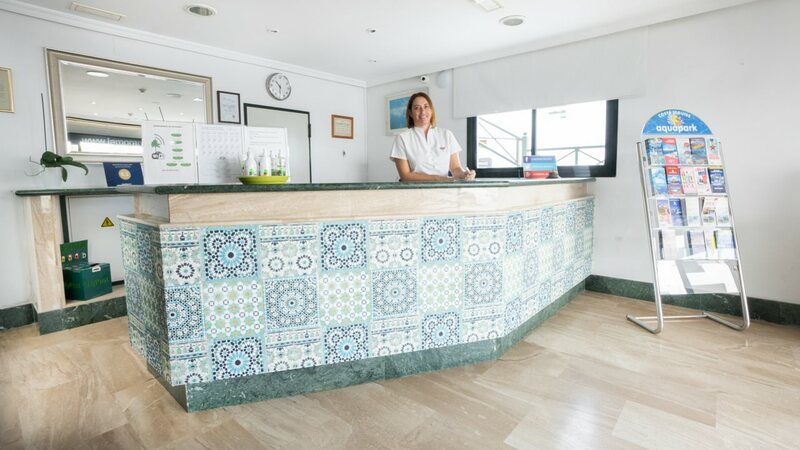 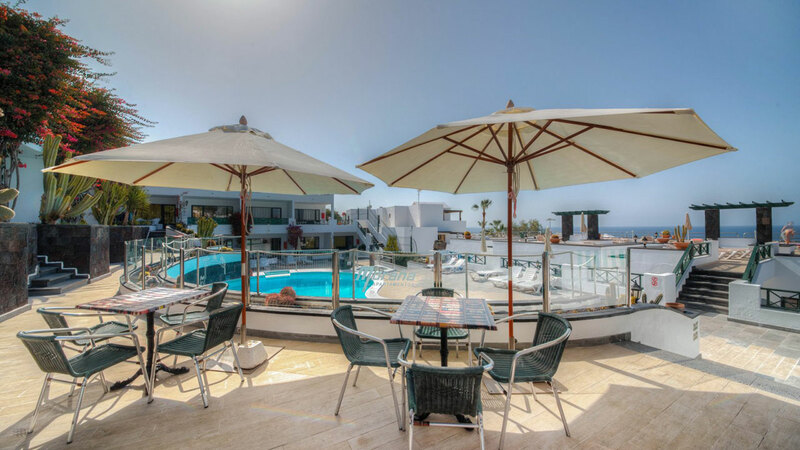 With spectacular views from our solarium where you can contemplate, on clear days, the Natural Park of the Dunes of the island of Fuerteventura. 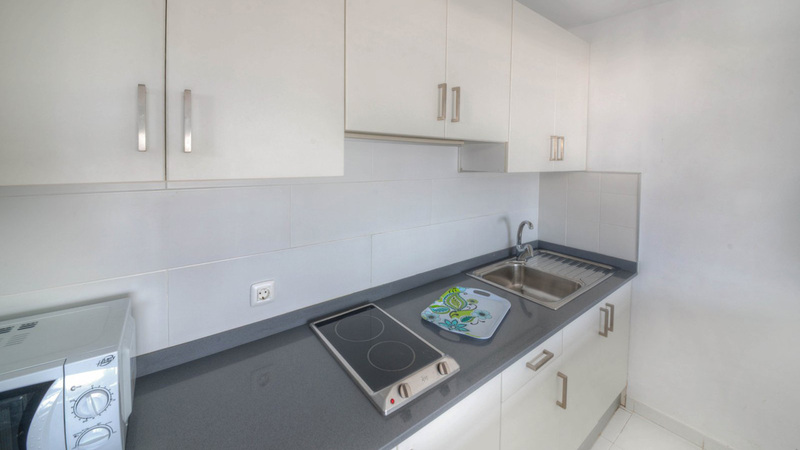 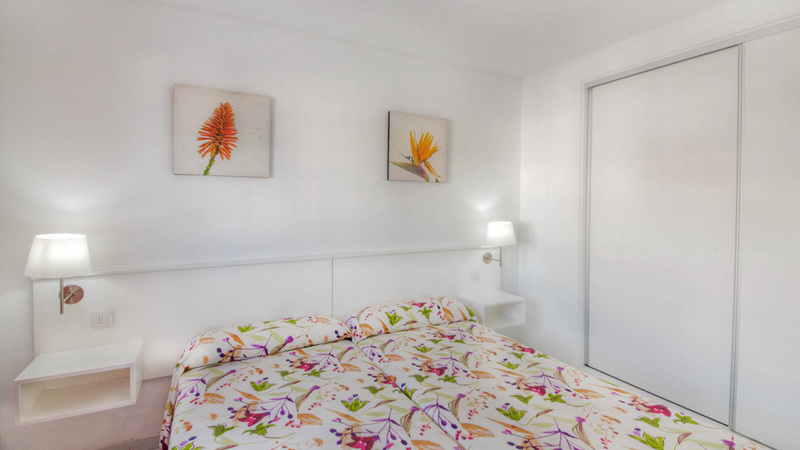 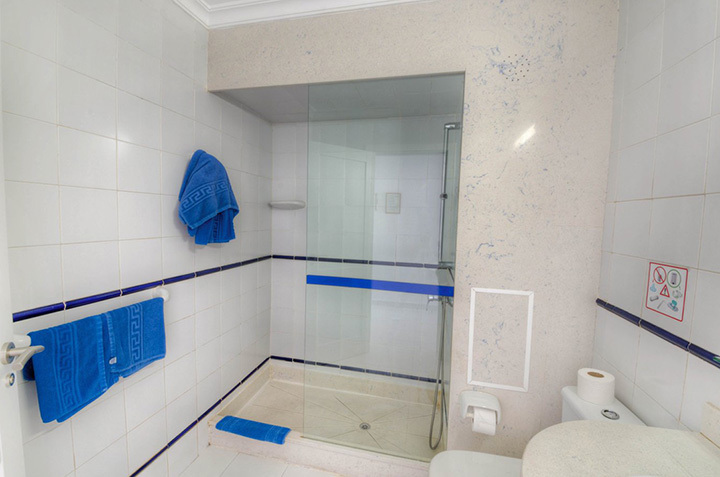 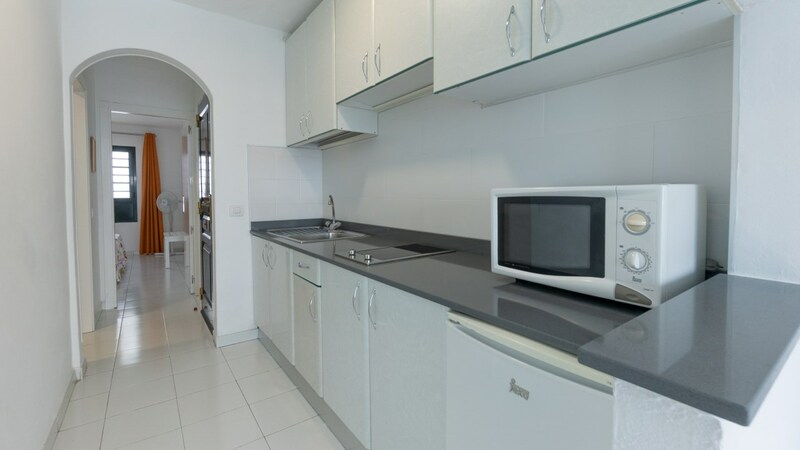 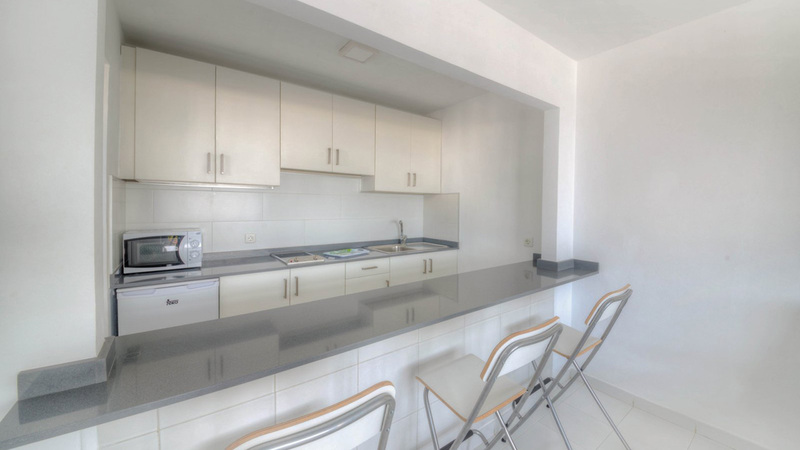 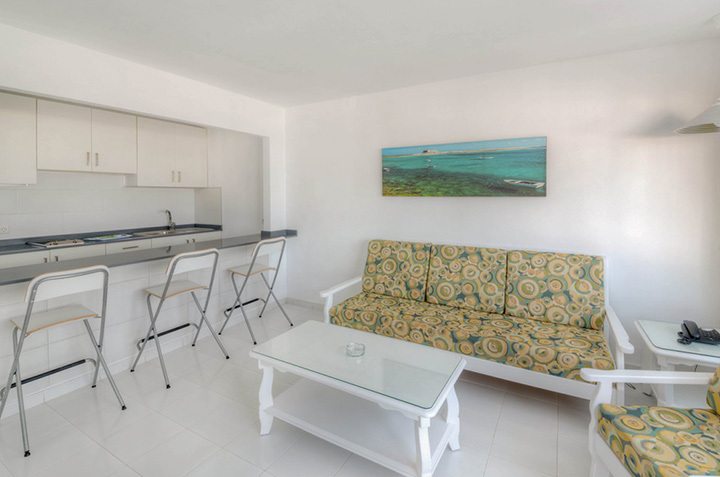 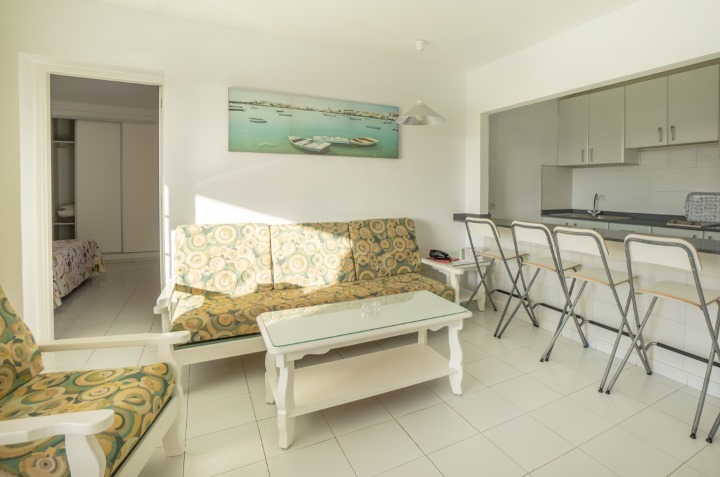 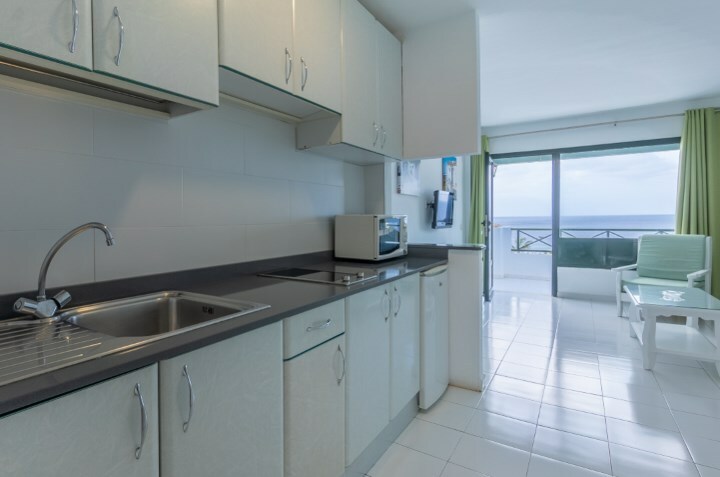 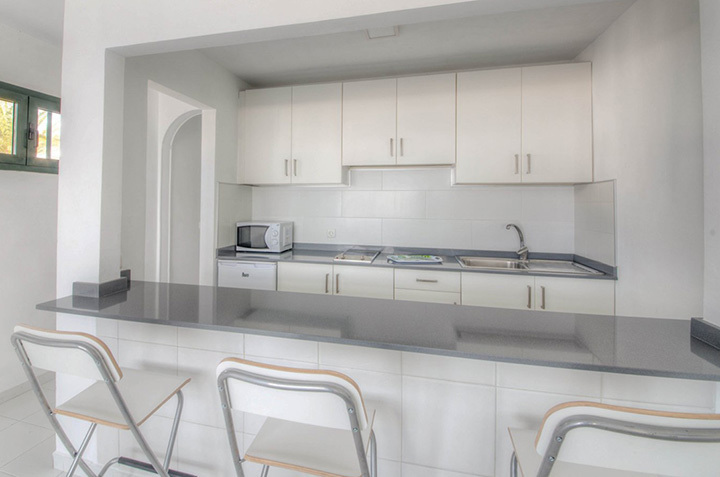 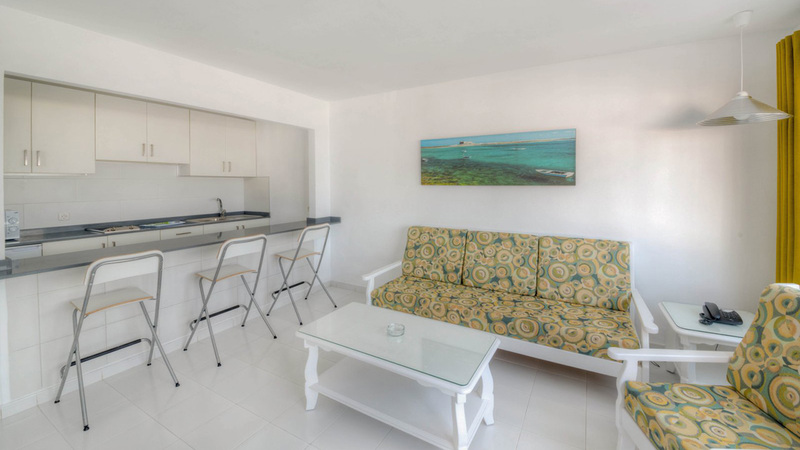 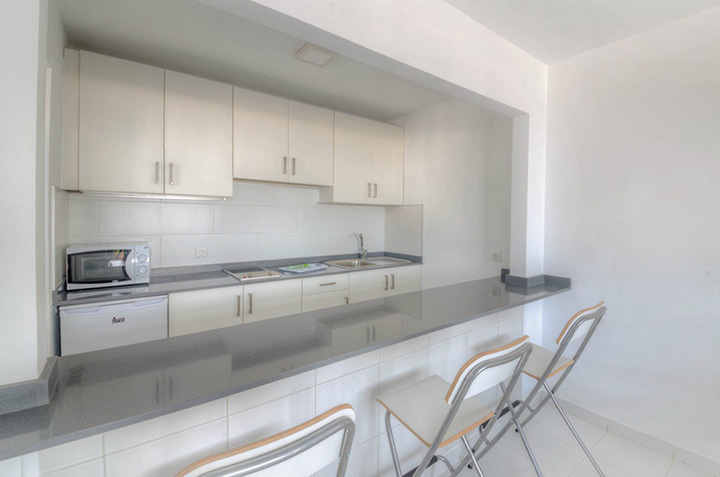 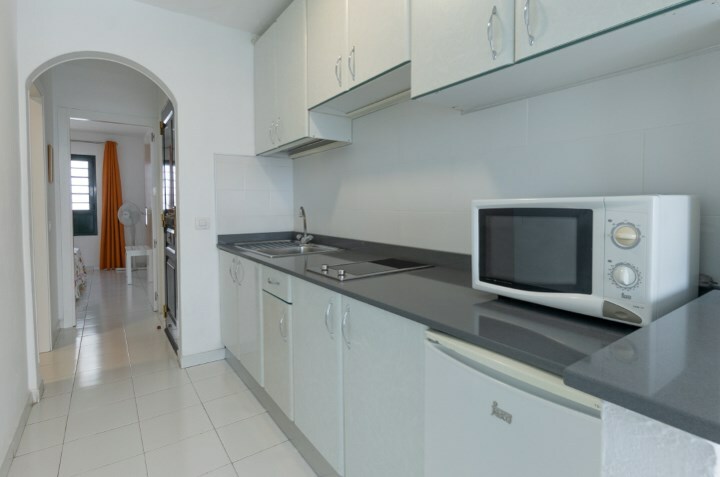 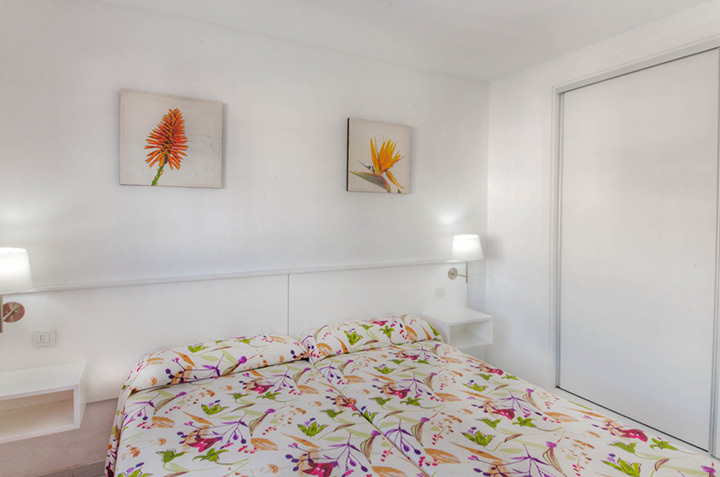 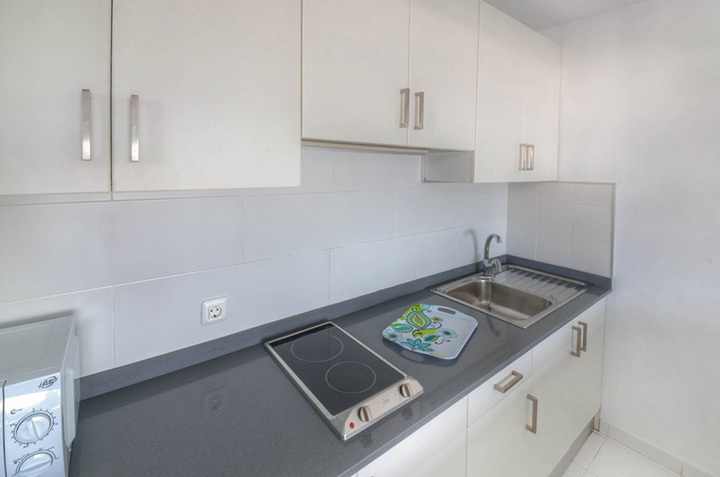 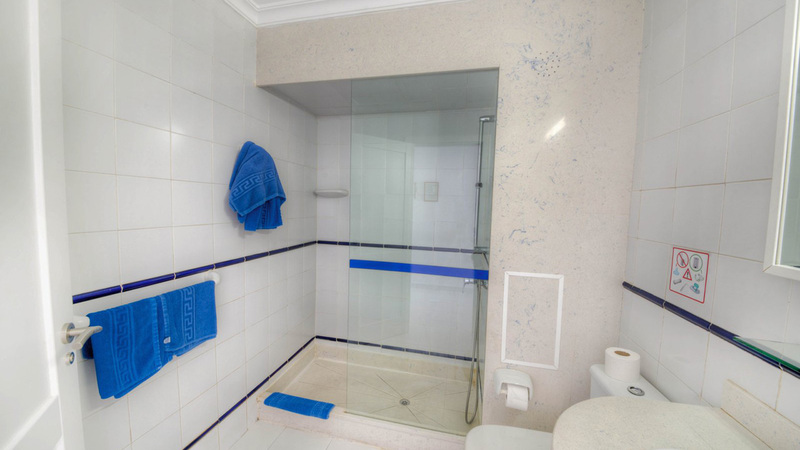 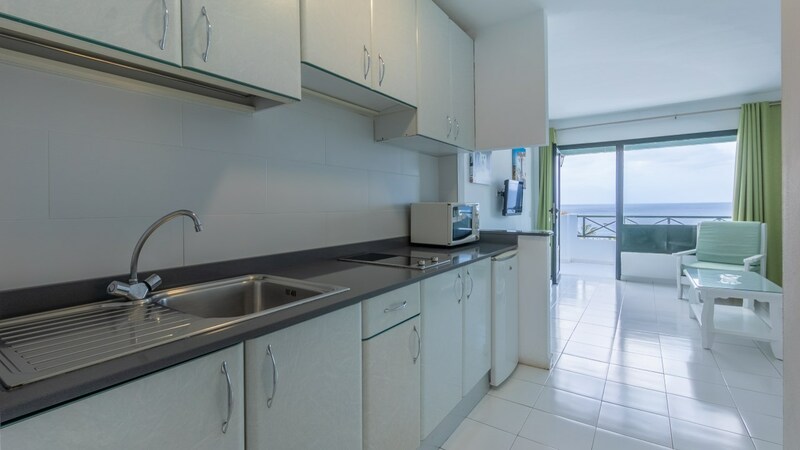 1 Bedroom apartments with ocean view or pool view, spacious and comfortable, fully equipped. 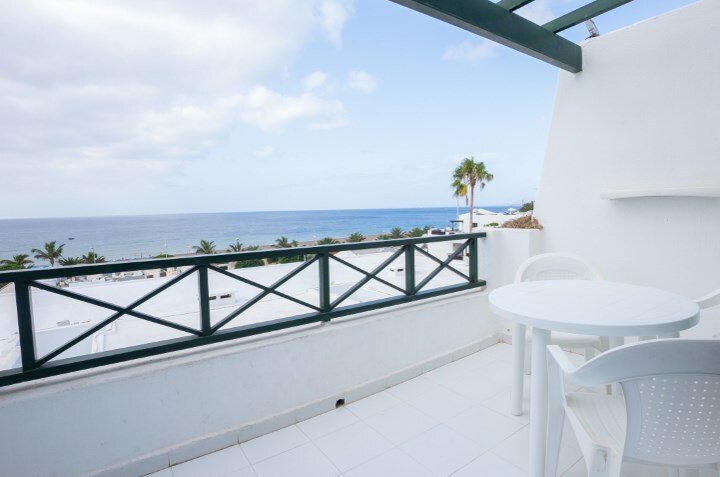 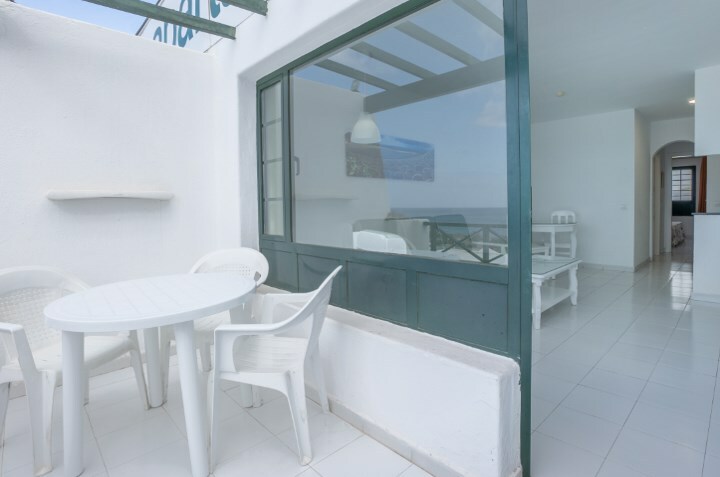 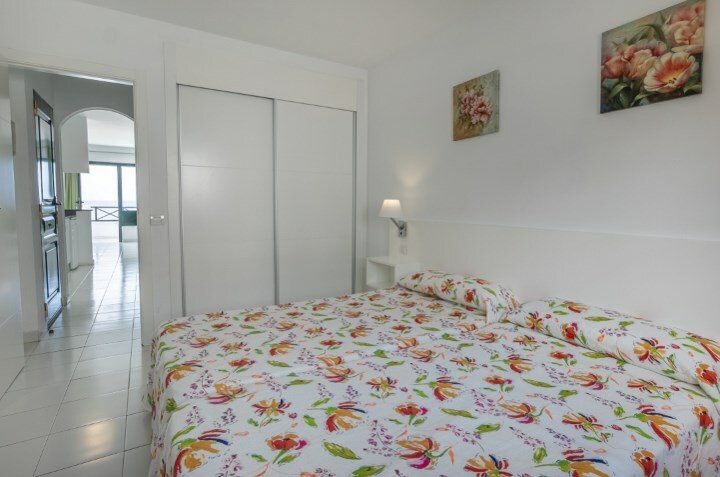 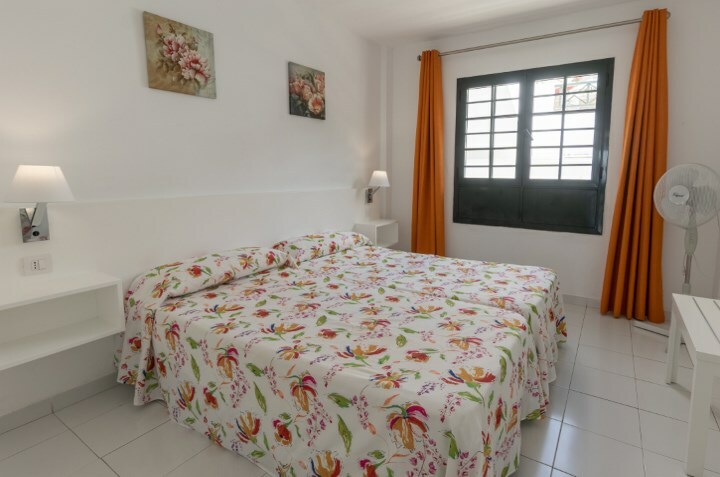 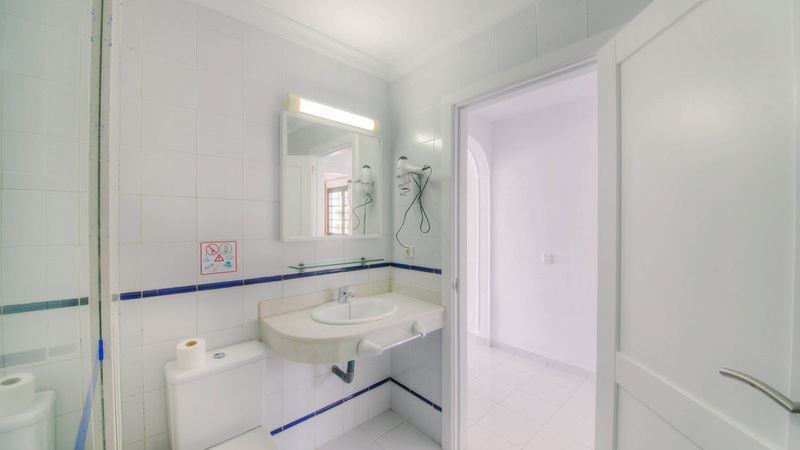 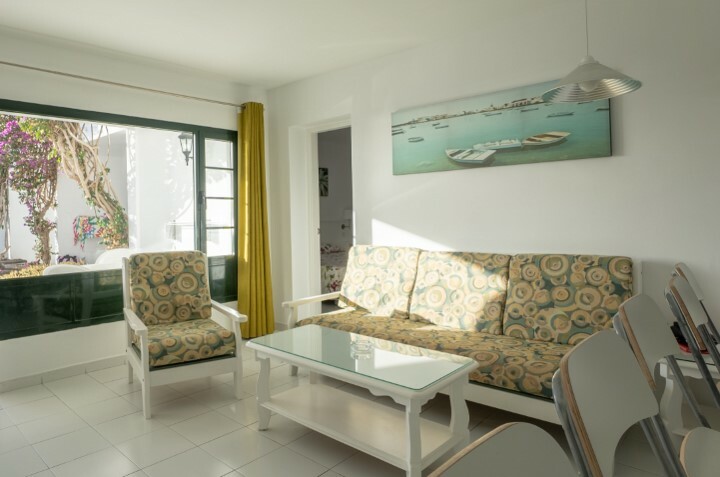 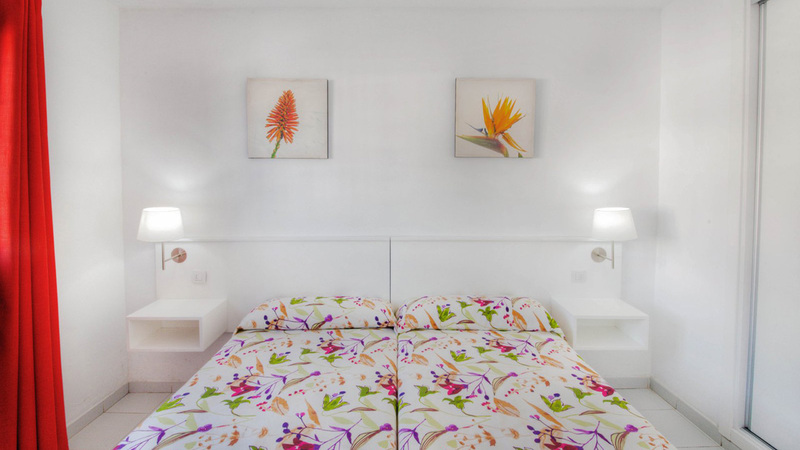 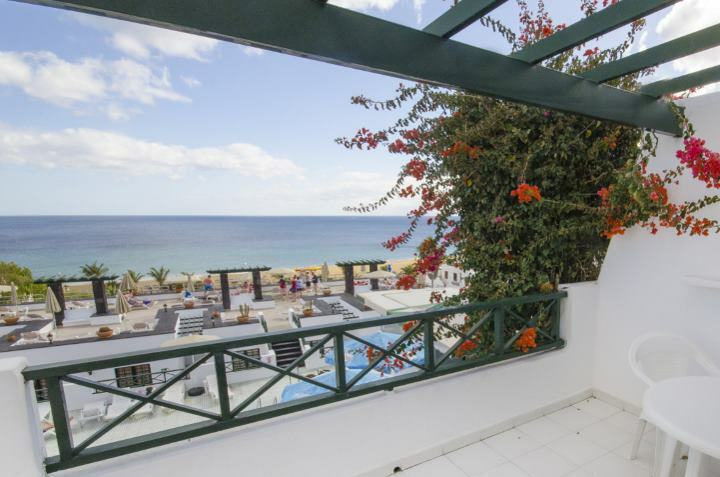 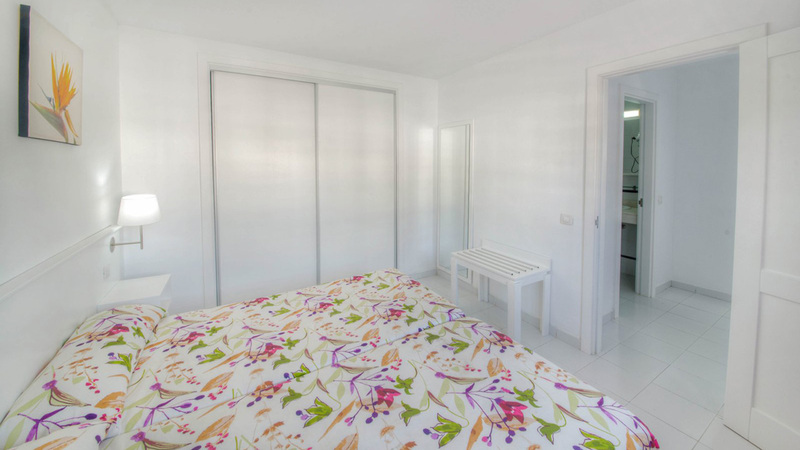 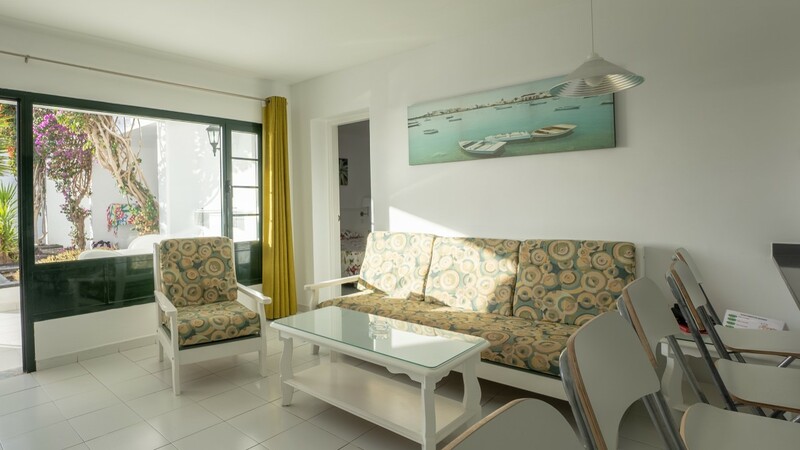 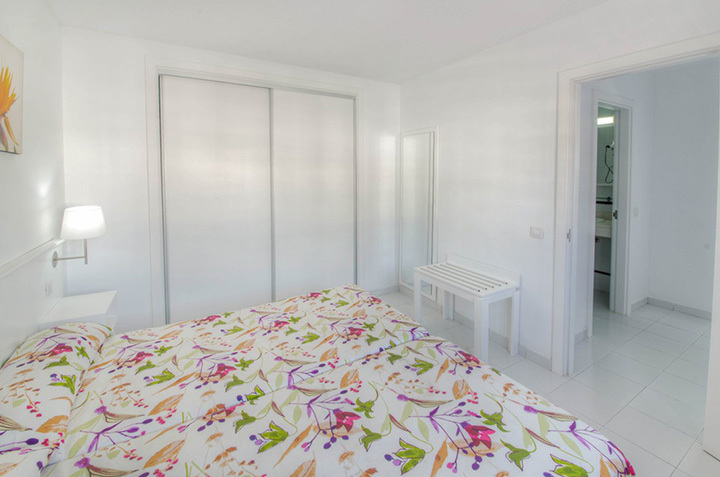 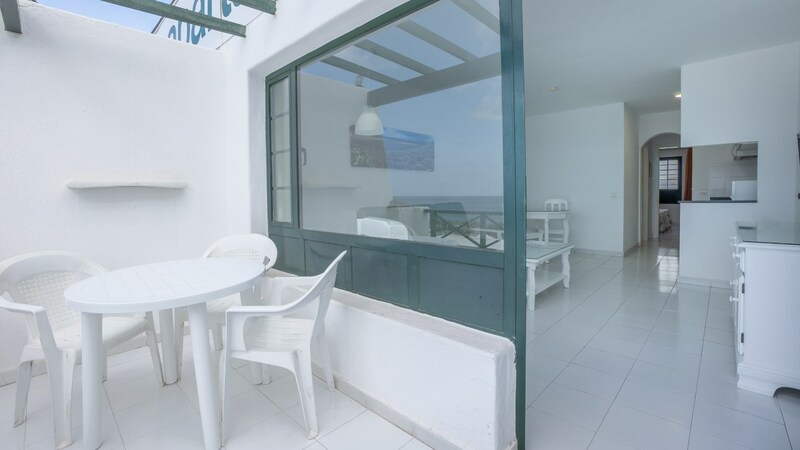 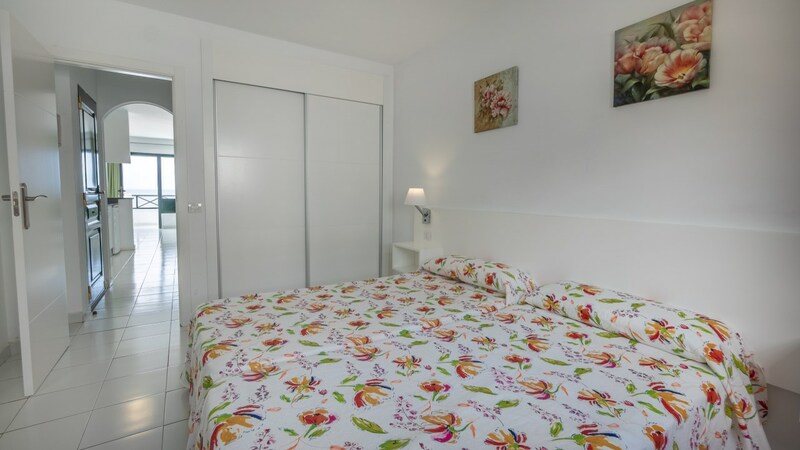 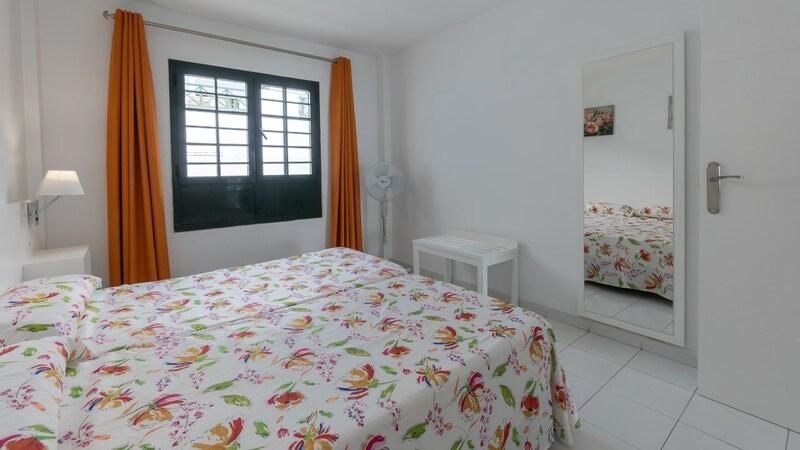 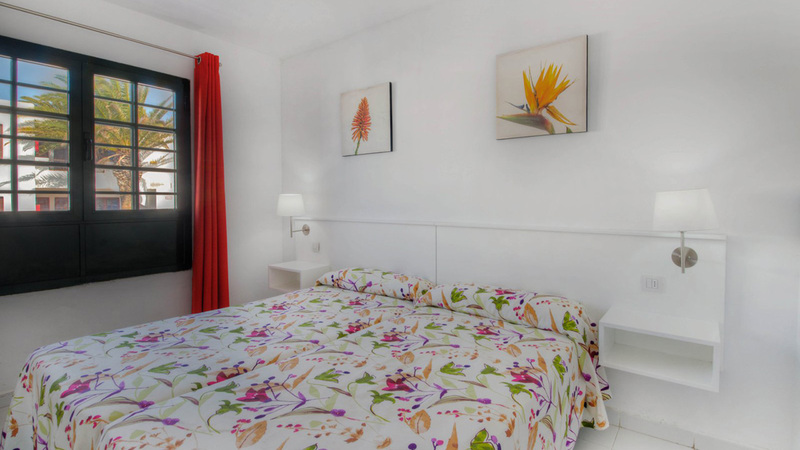 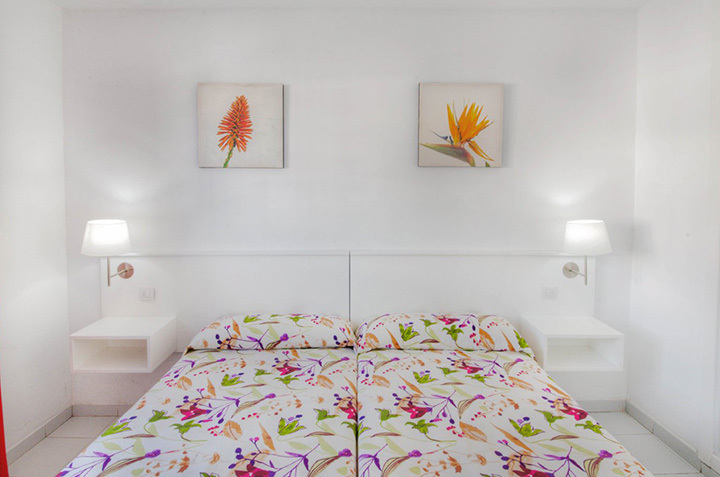 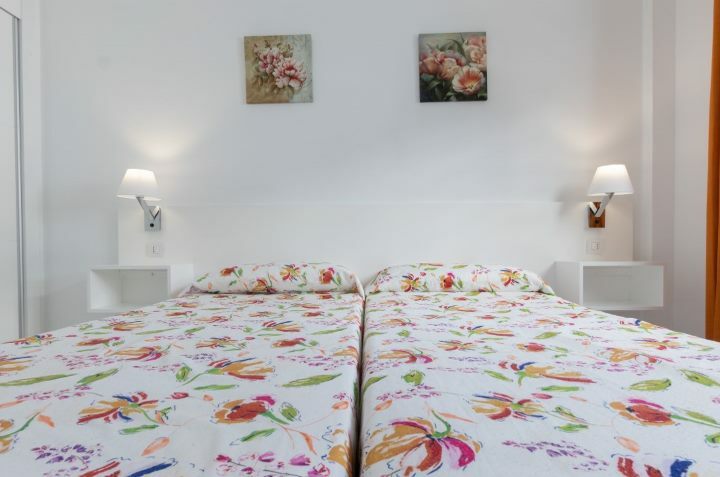 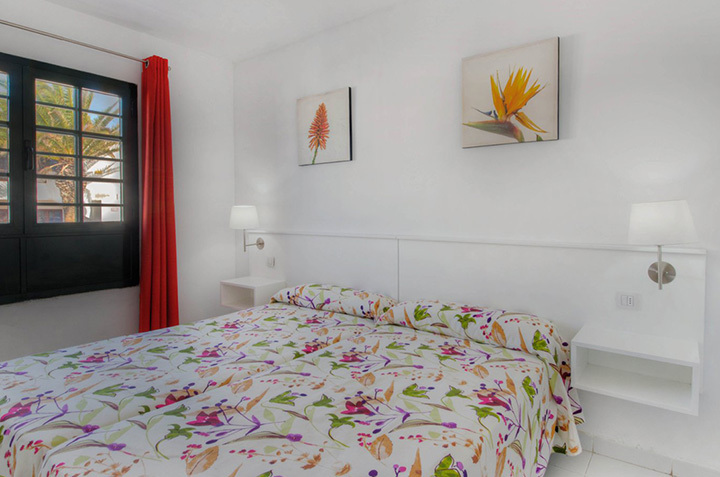 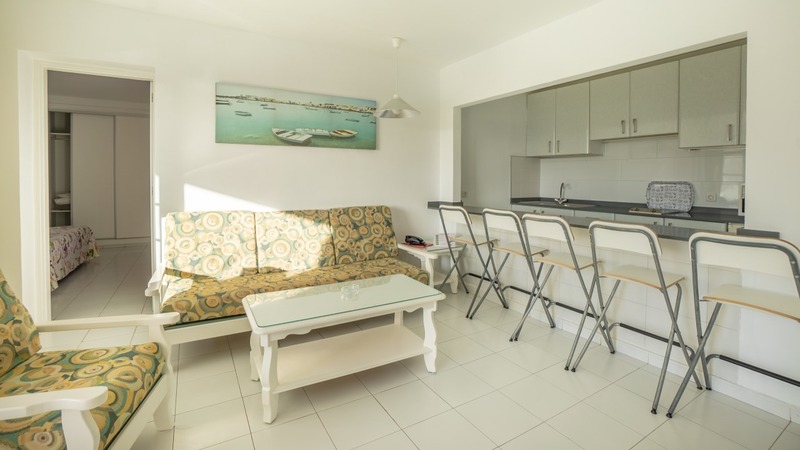 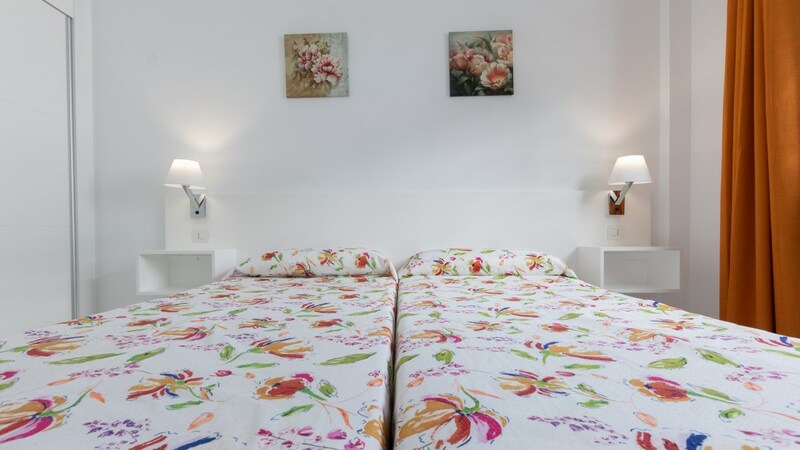 Spacious 2 rooms with sea view, fully equipped. 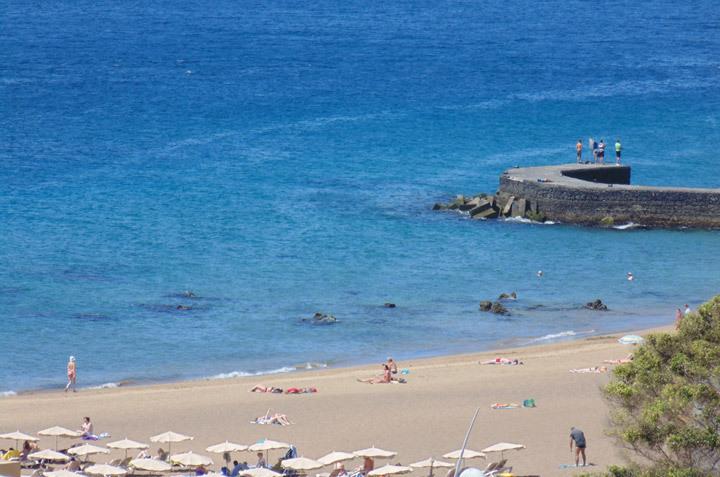 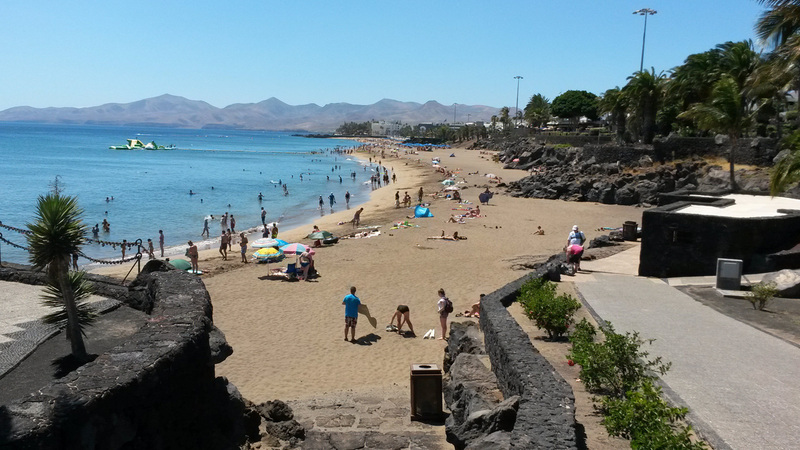 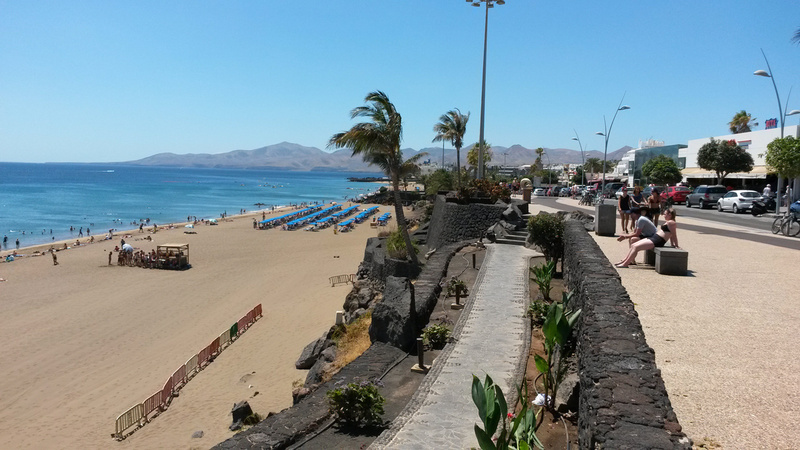 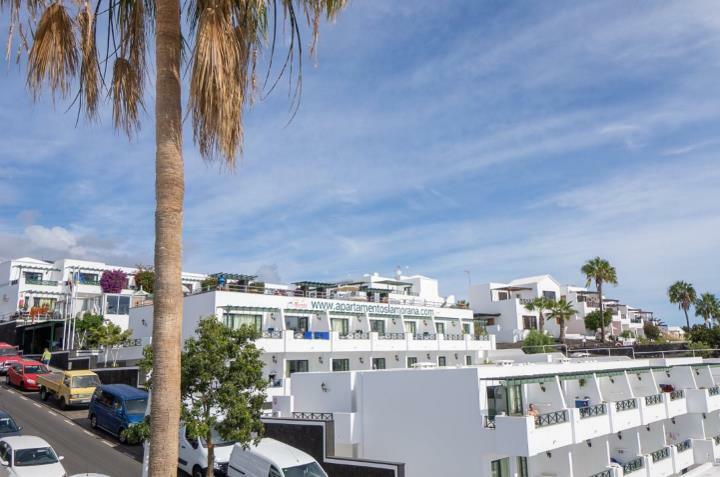 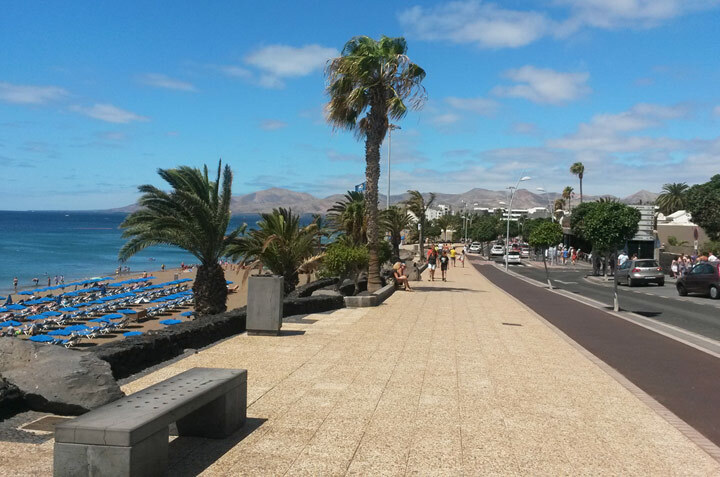 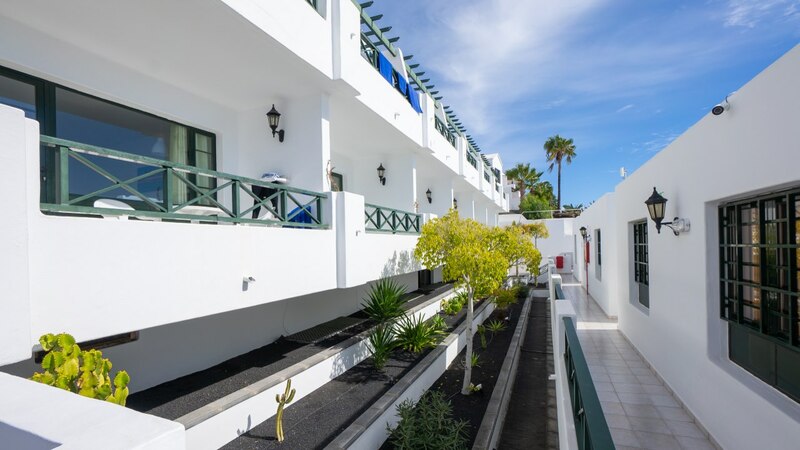 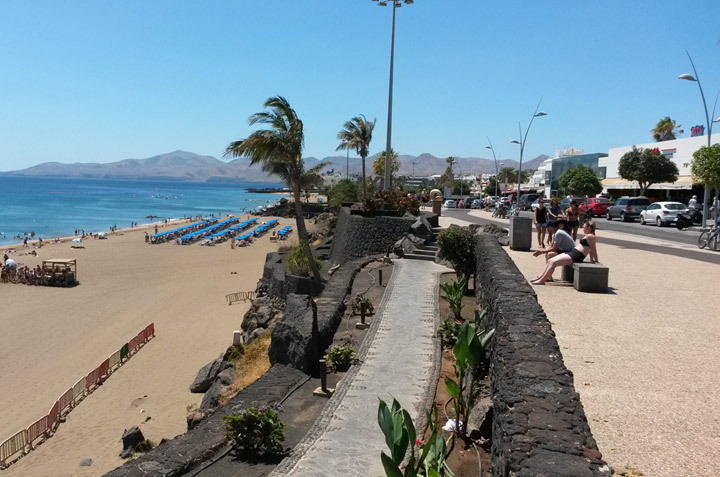 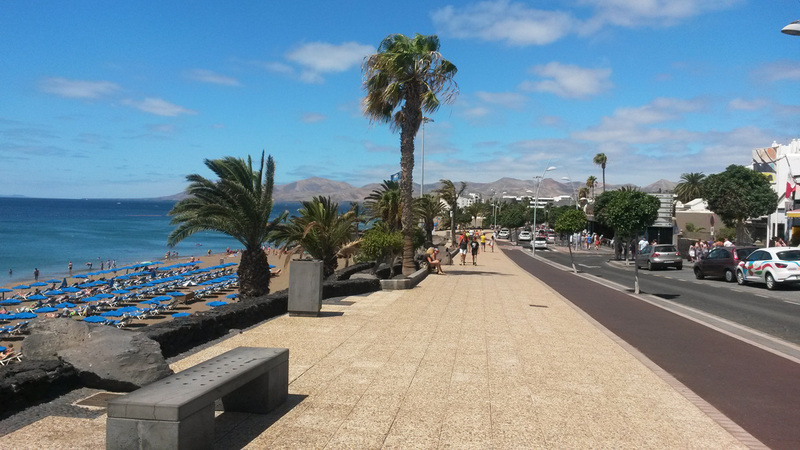 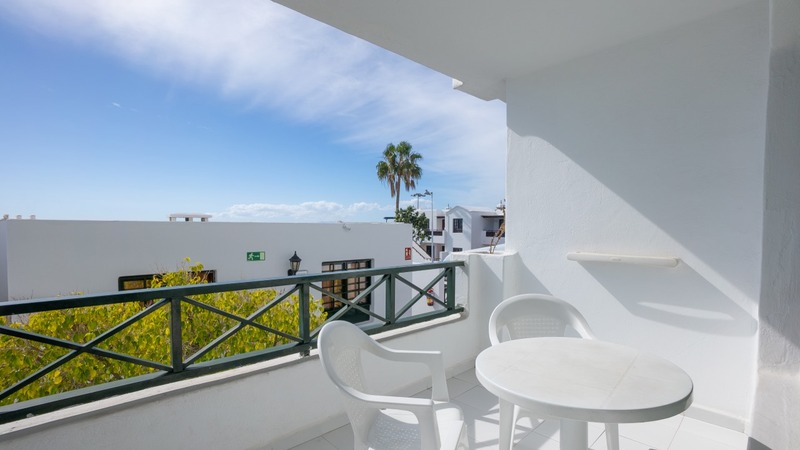 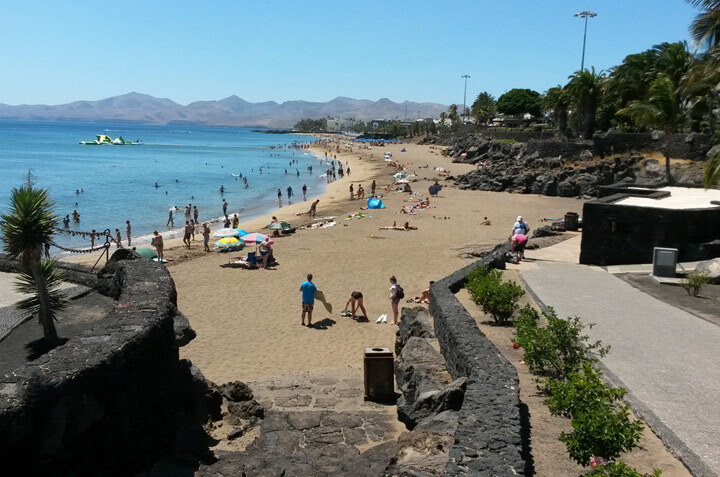 Images of Puerto del Carmen. 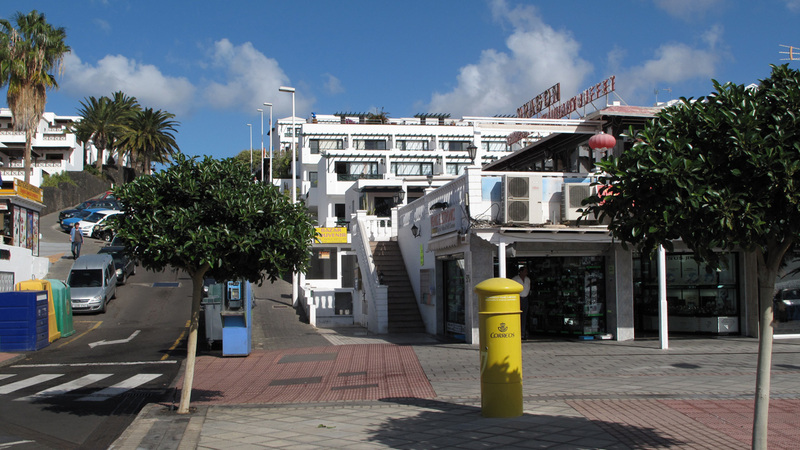 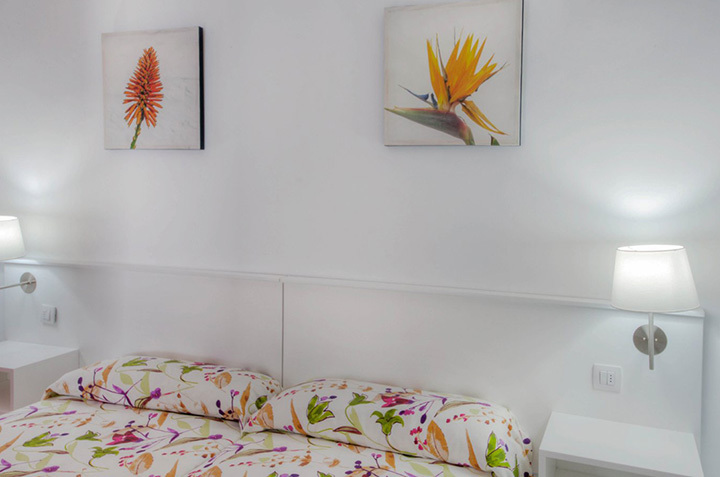 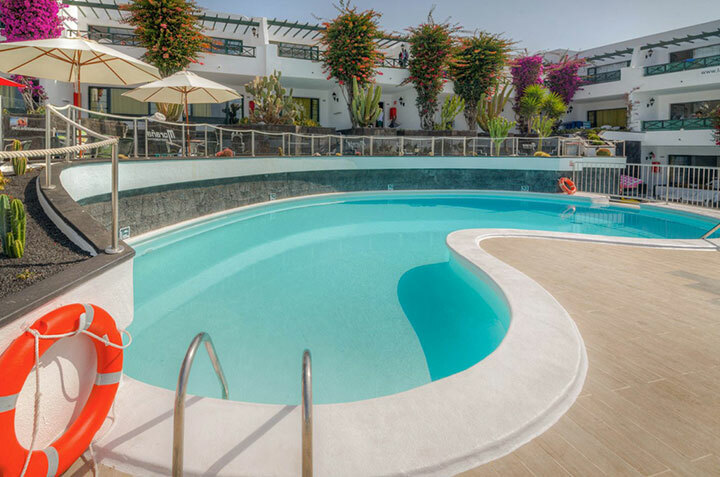 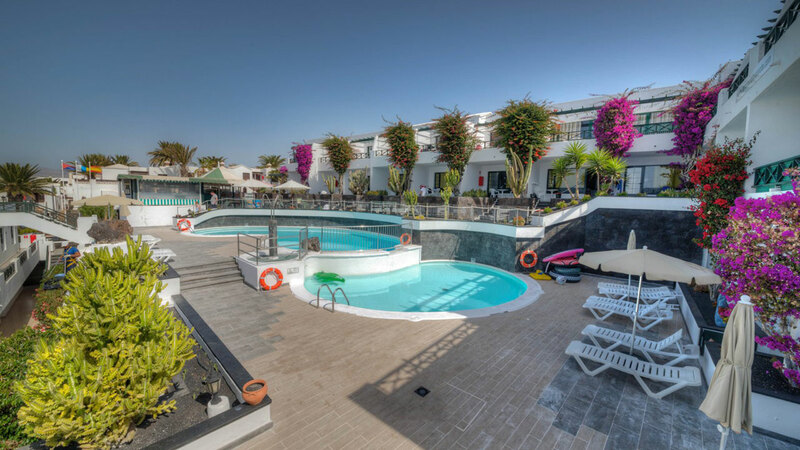 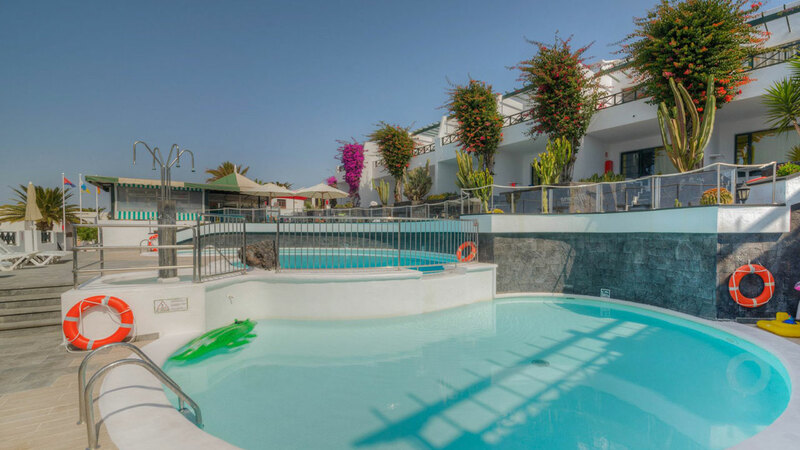 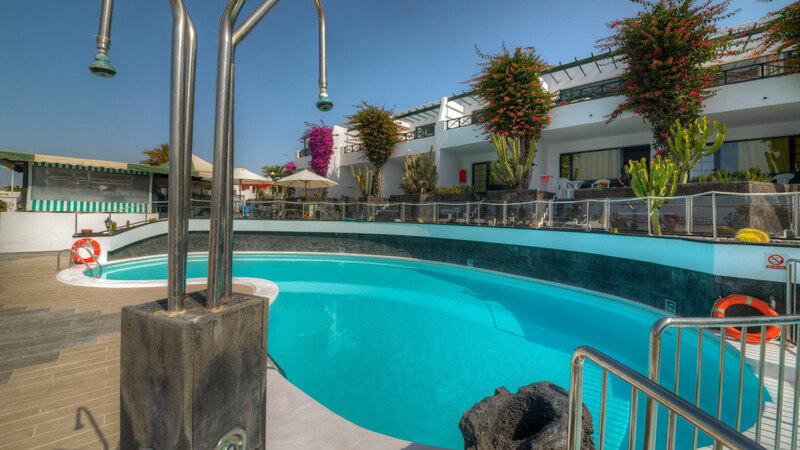 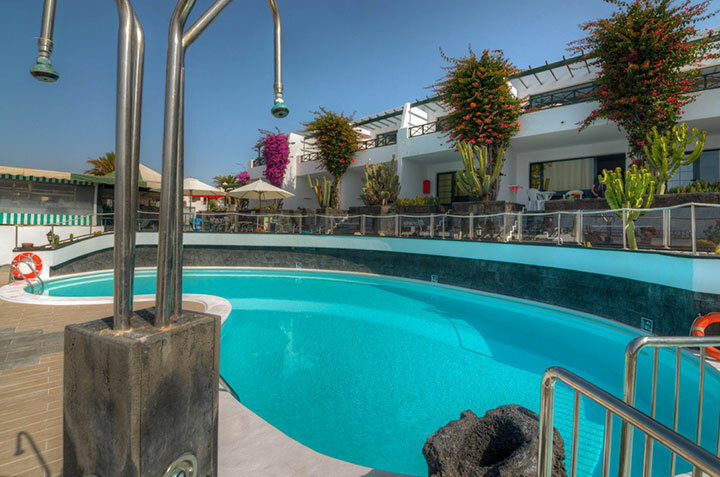 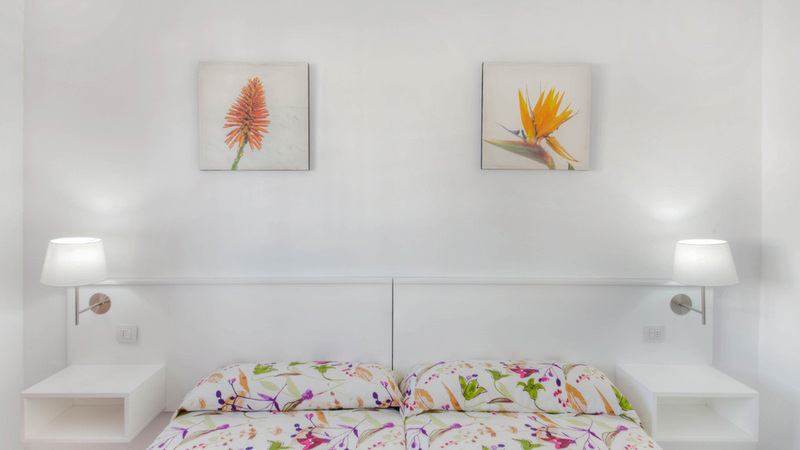 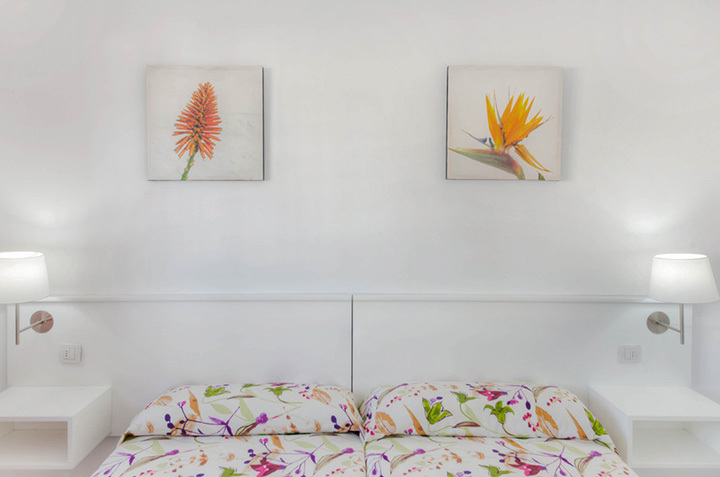 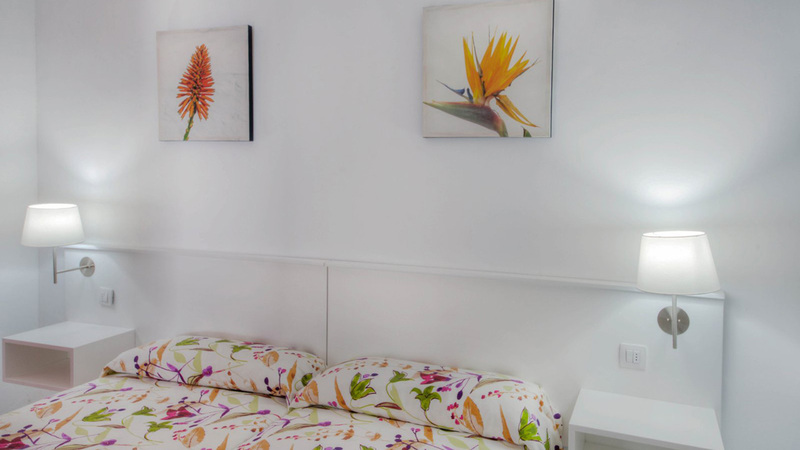 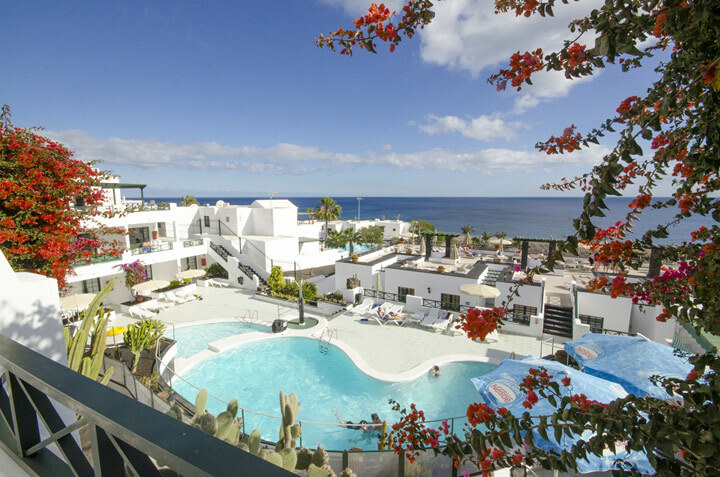 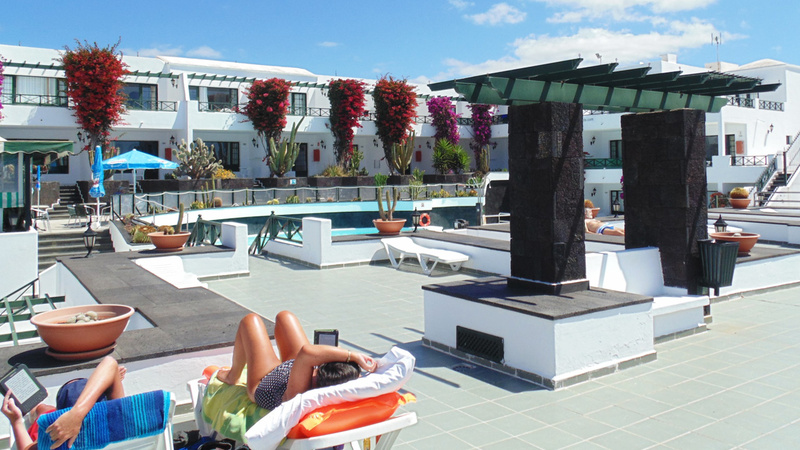 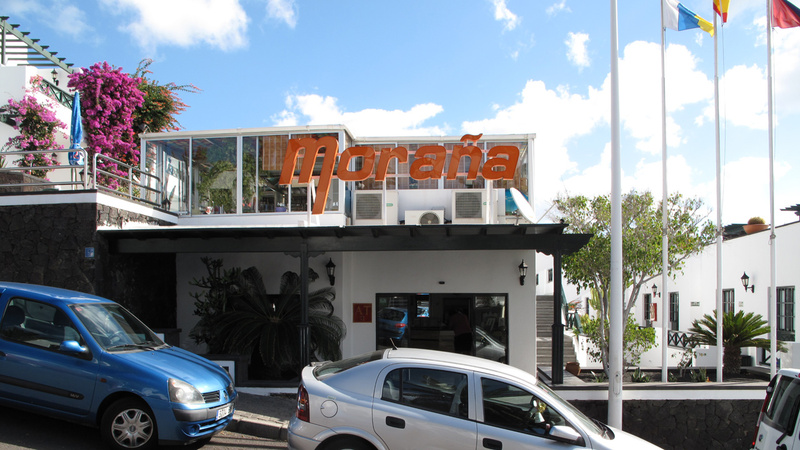 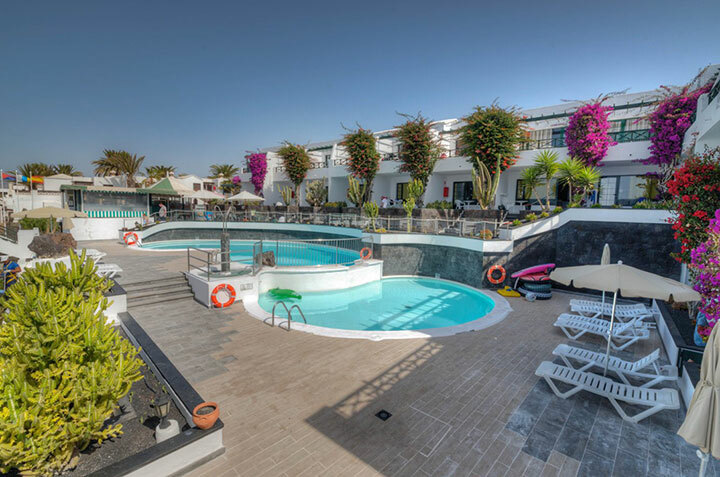 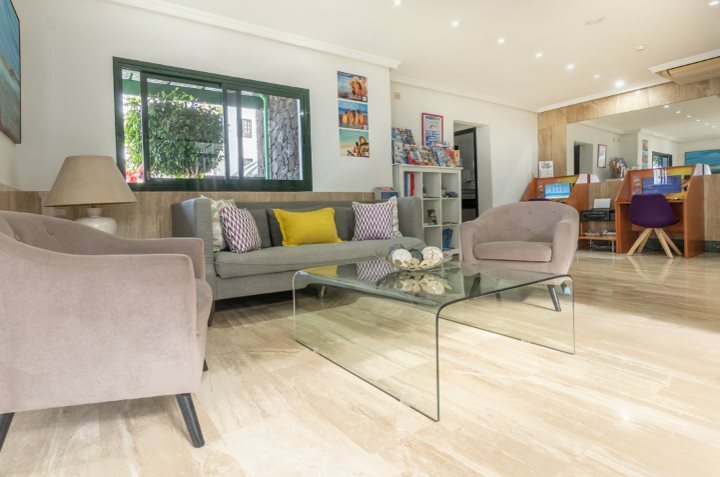 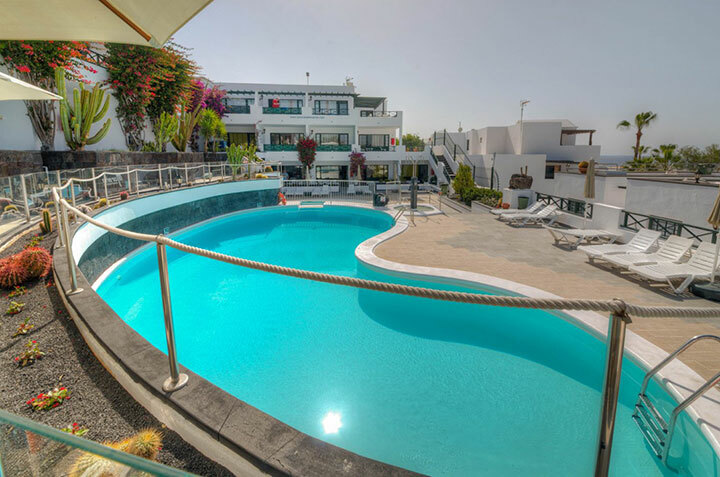 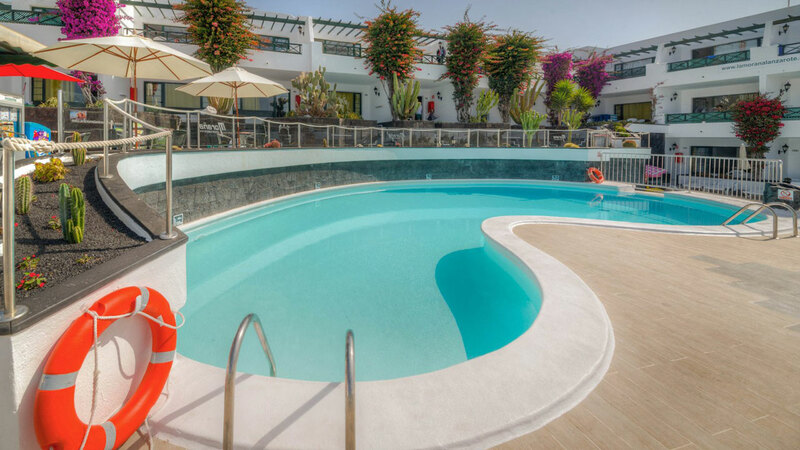 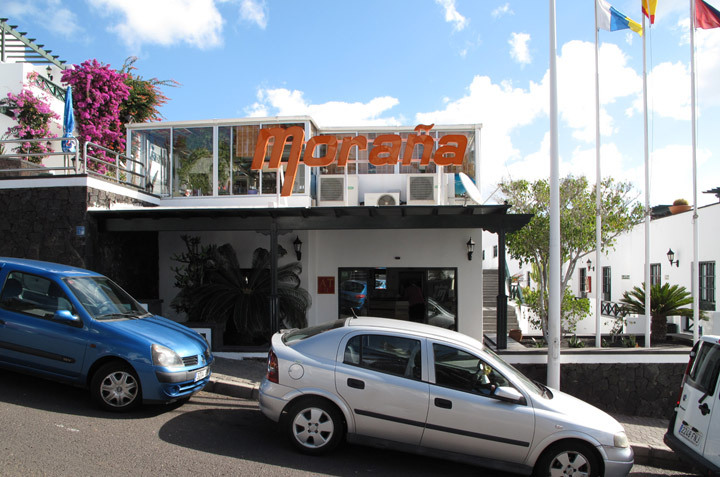 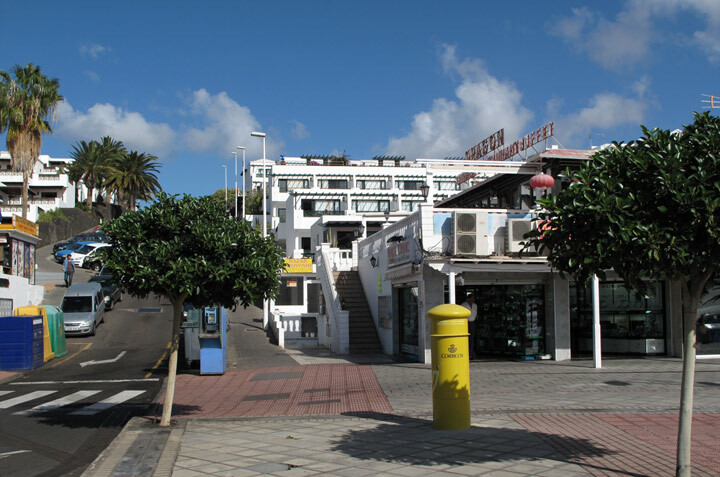 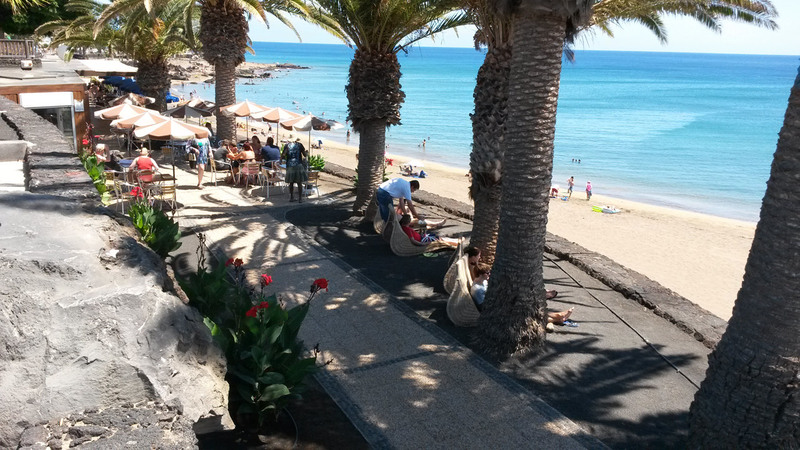 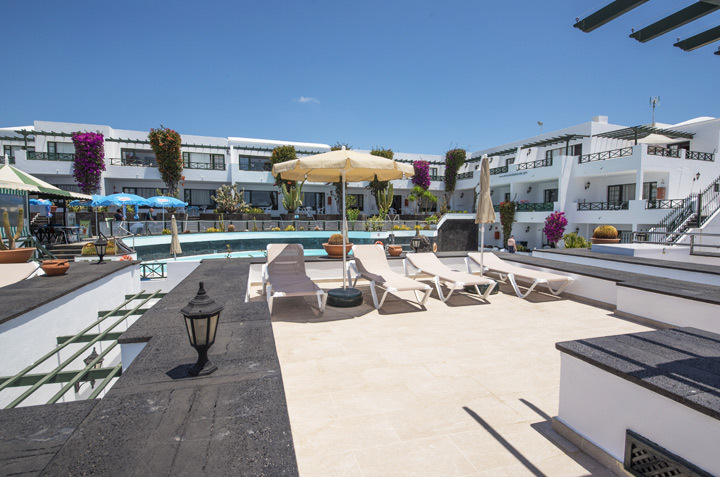 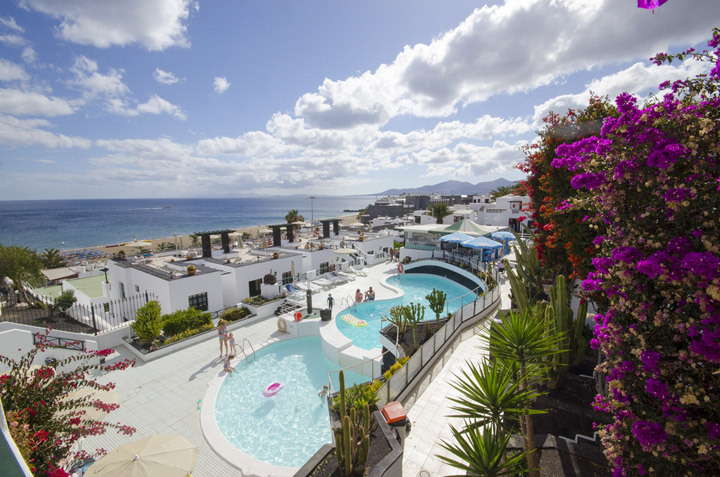 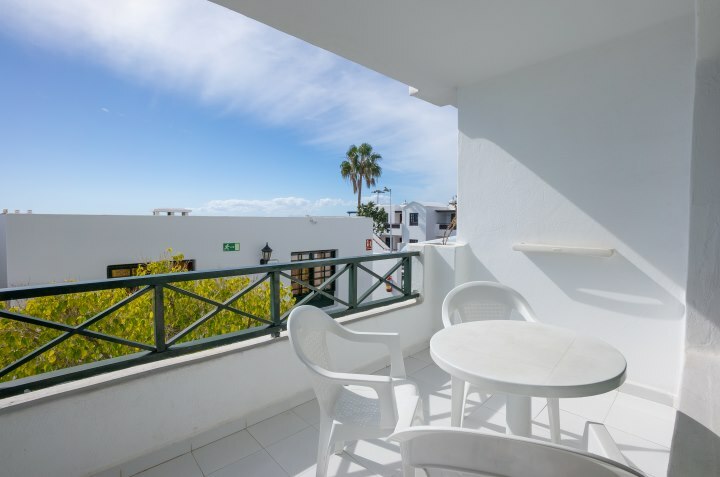 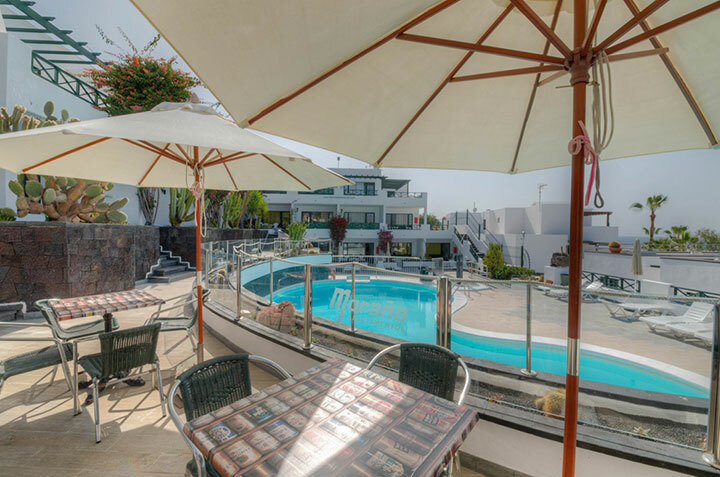 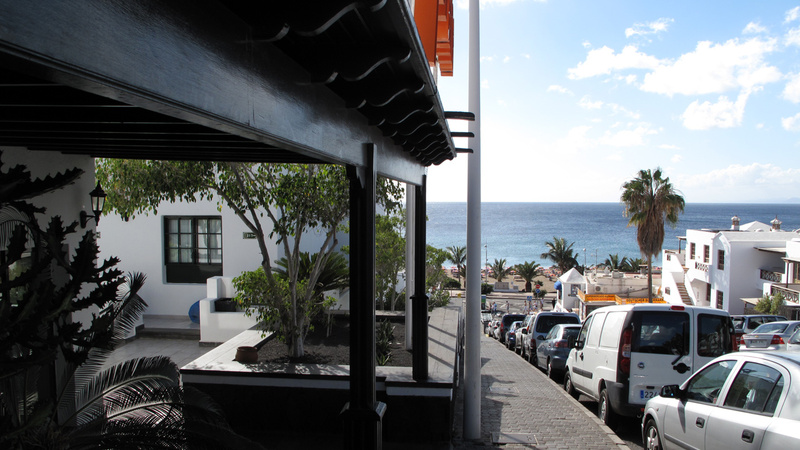 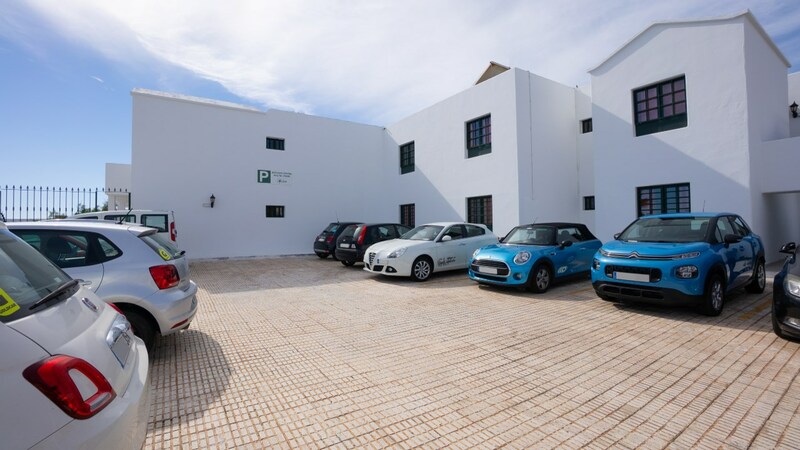 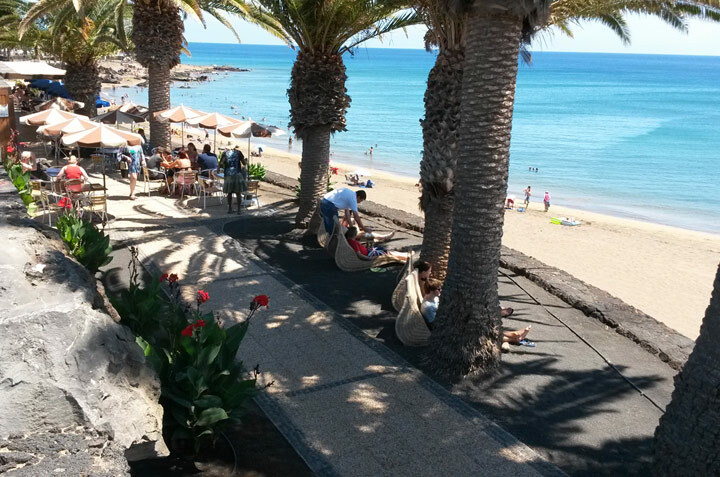 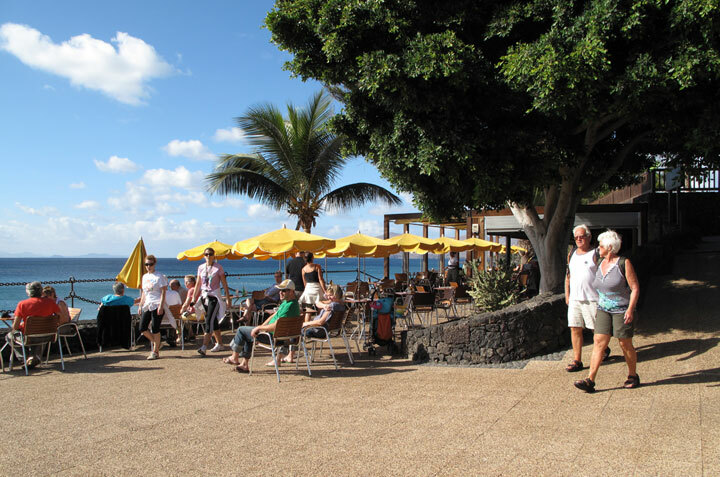 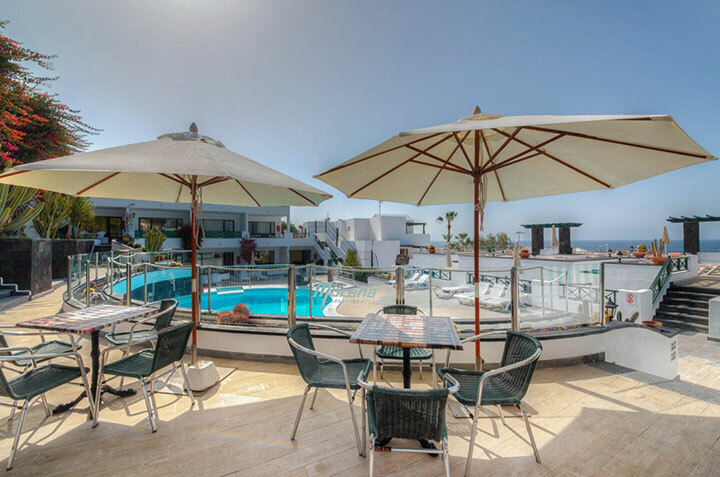 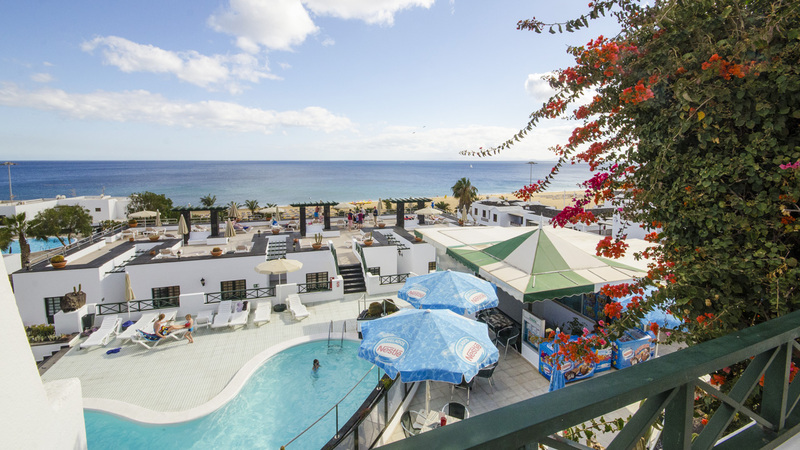 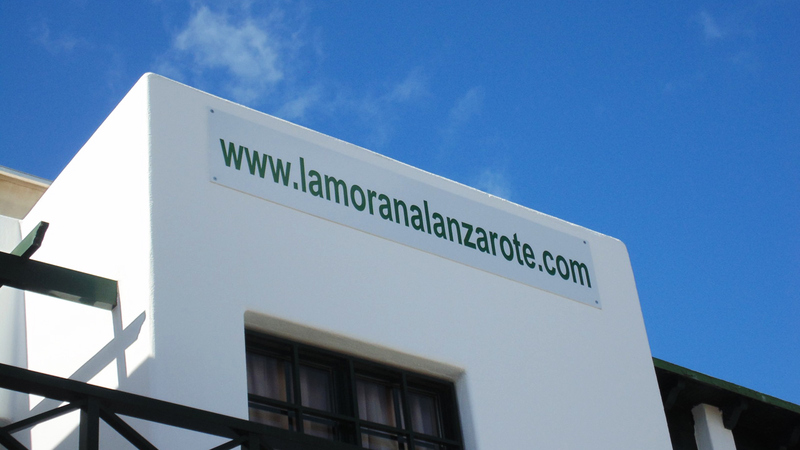 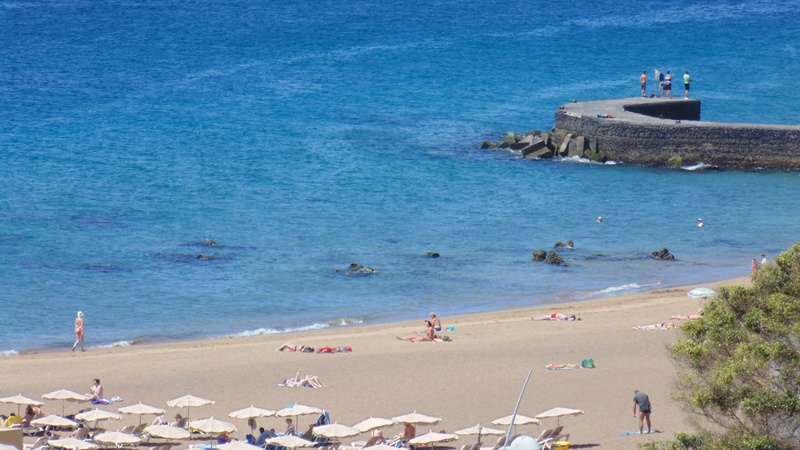 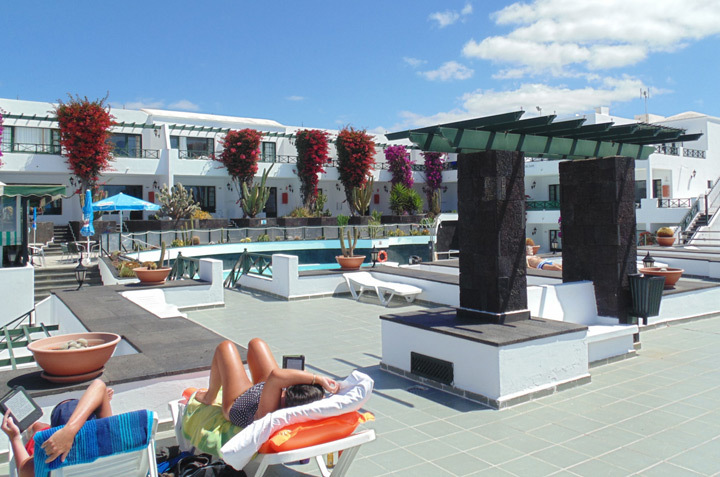 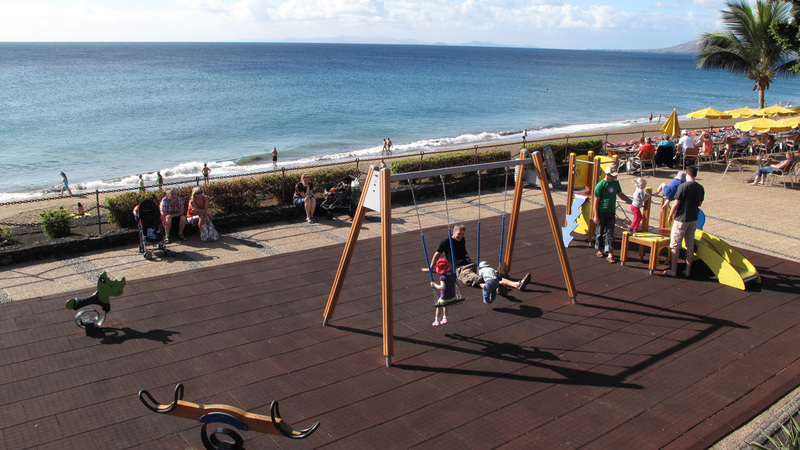 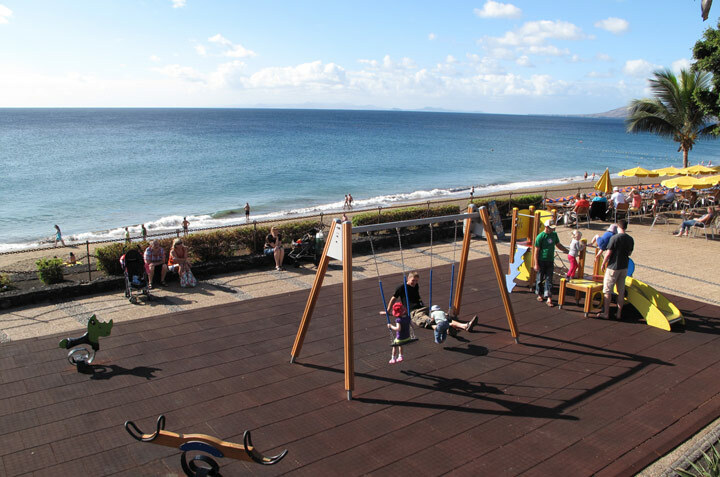 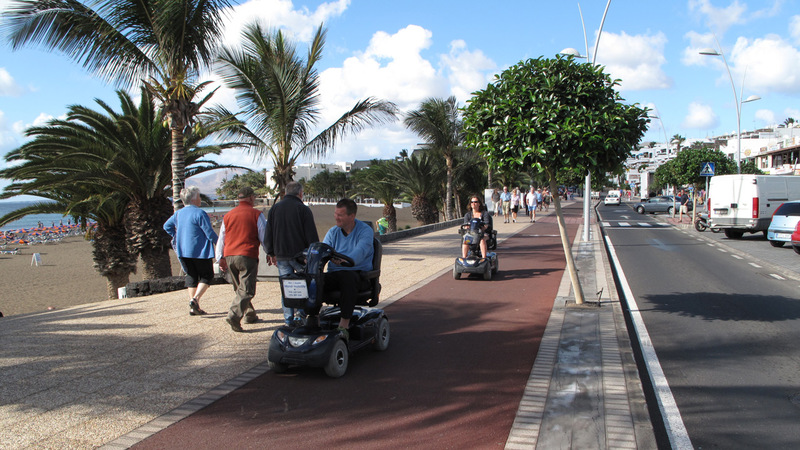 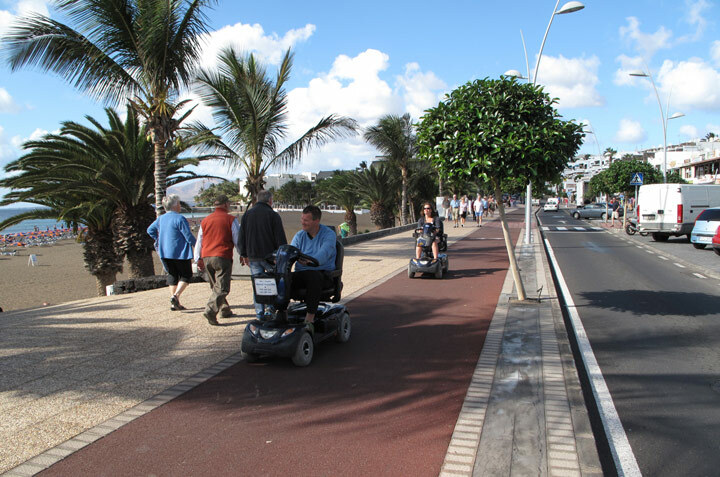 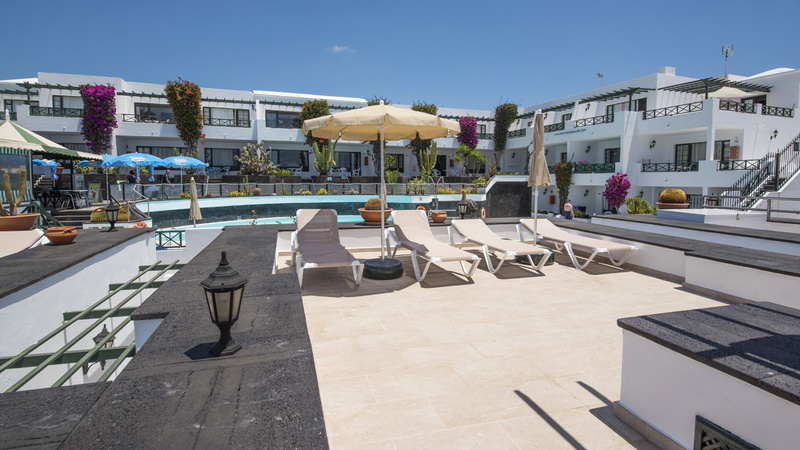 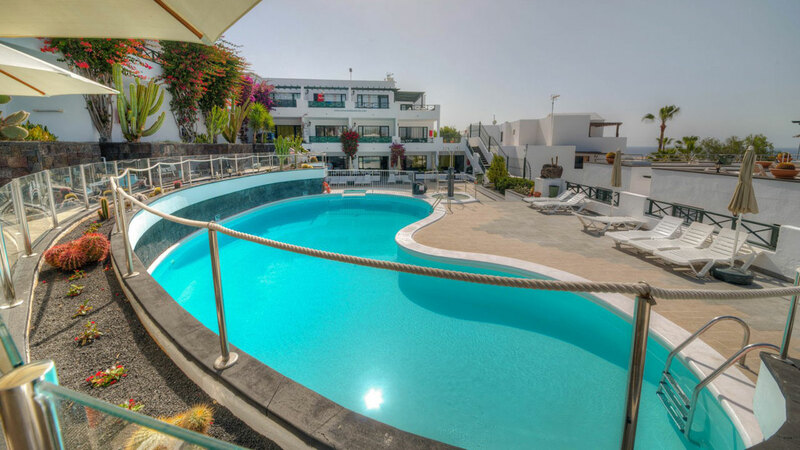 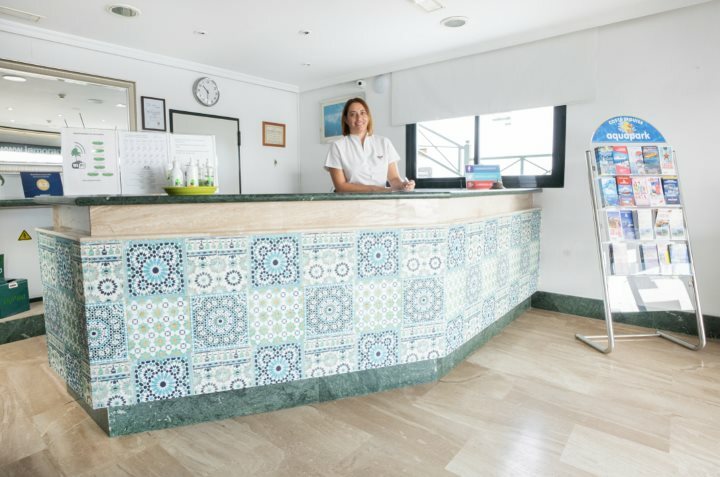 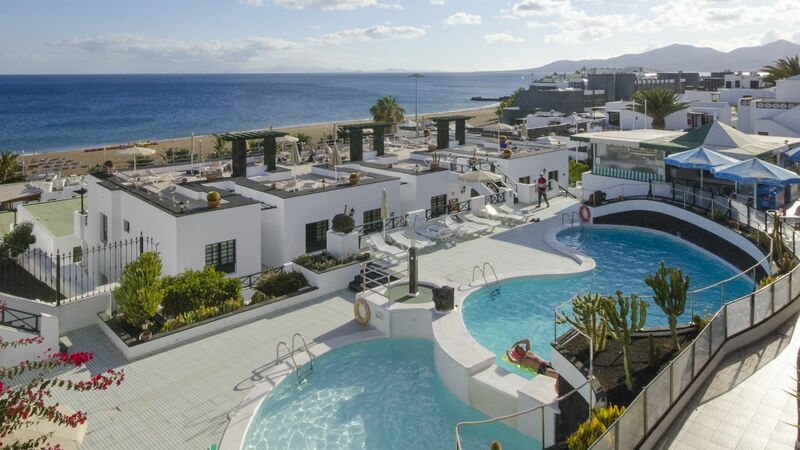 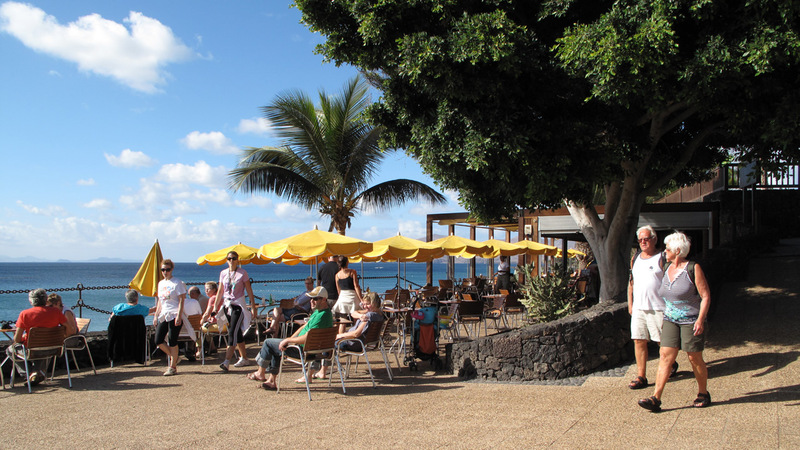 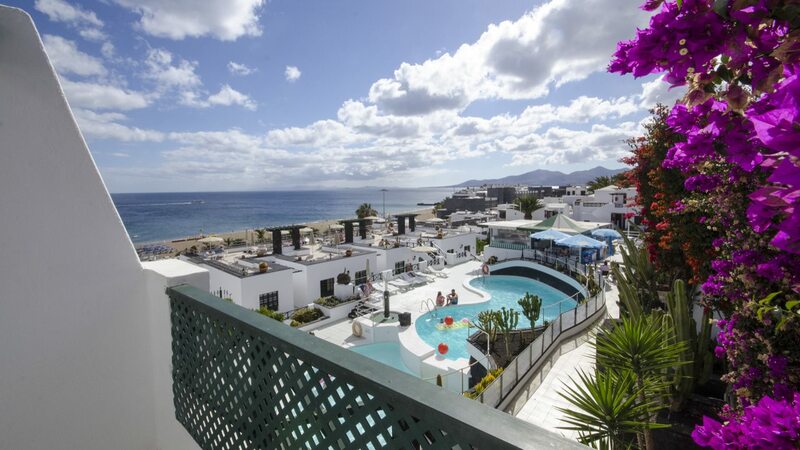 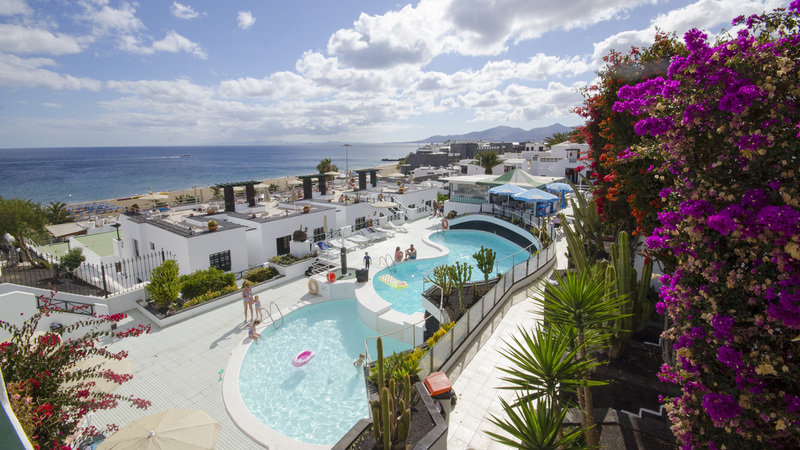 Our establishment is located in Puerto del Carmen, the main tourist-center of Lanzarote. 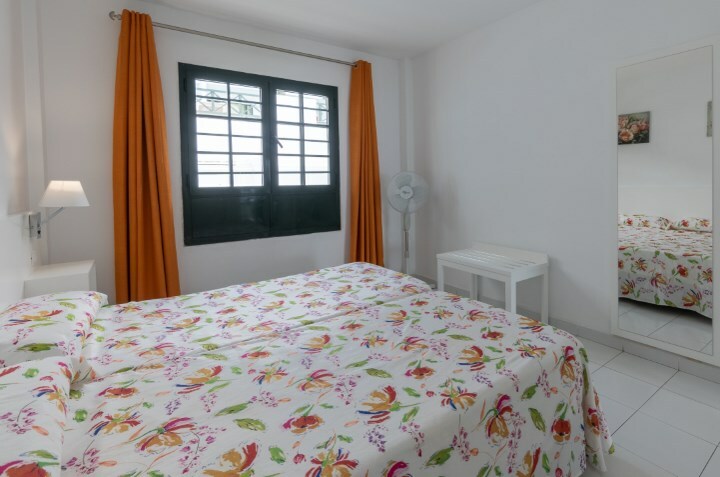 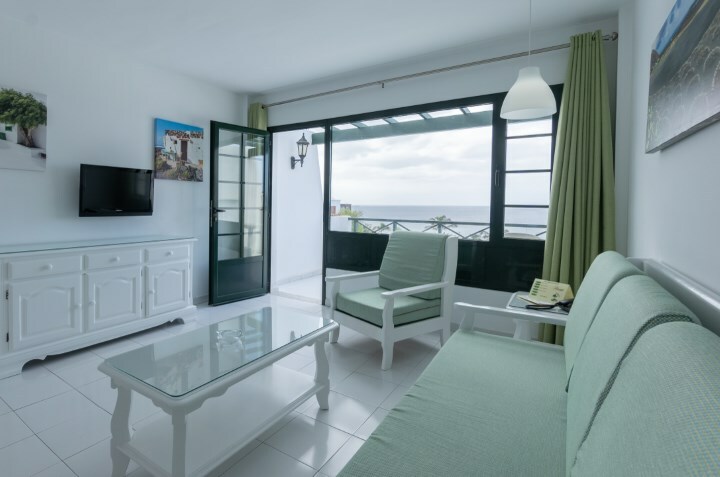 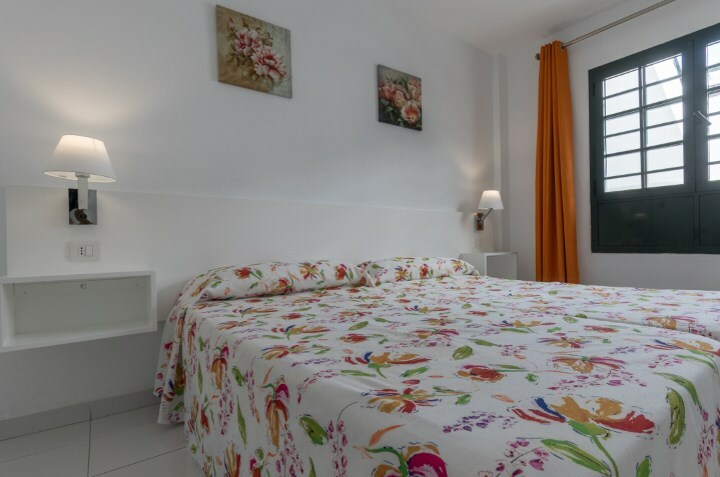 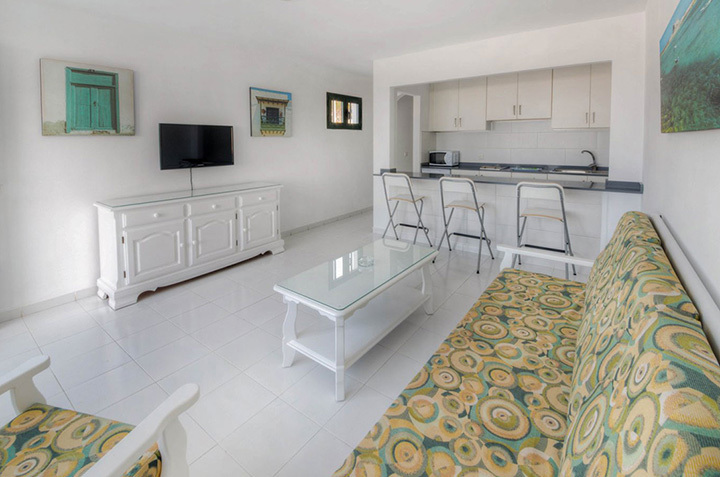 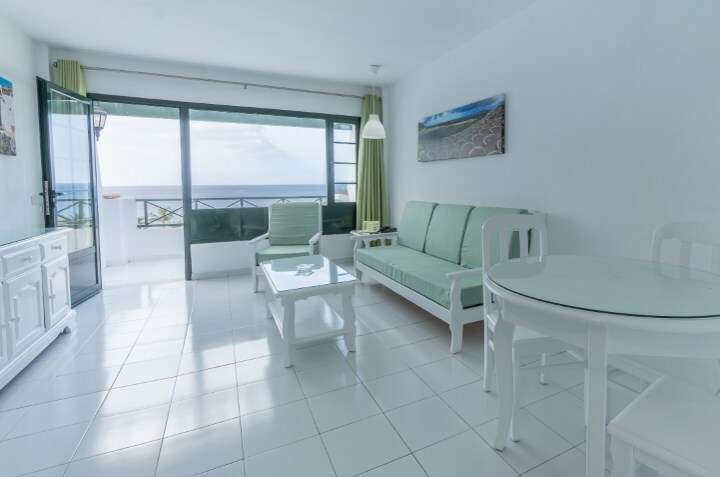 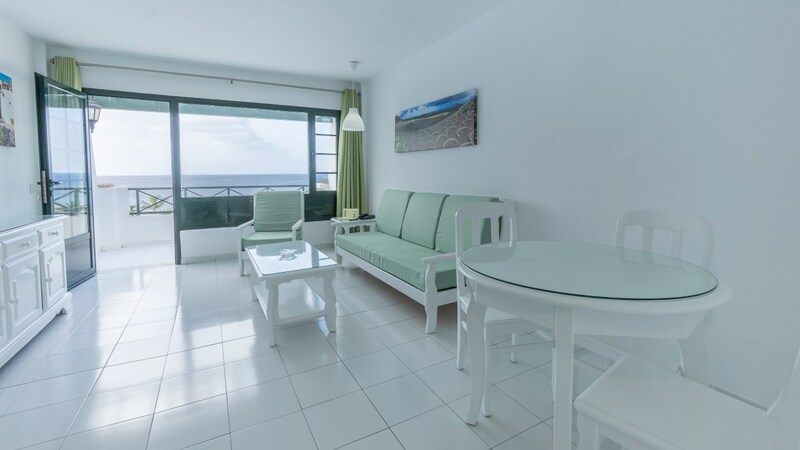 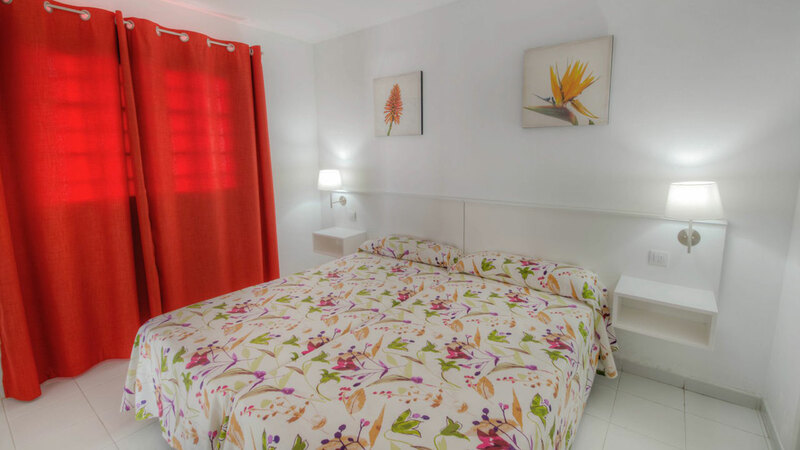 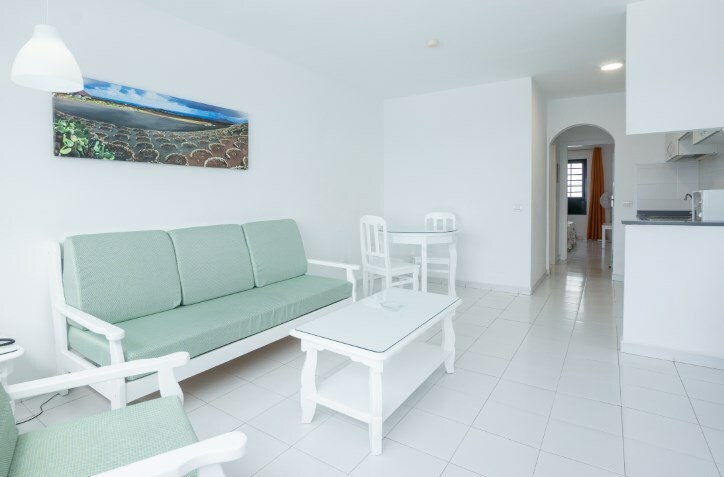 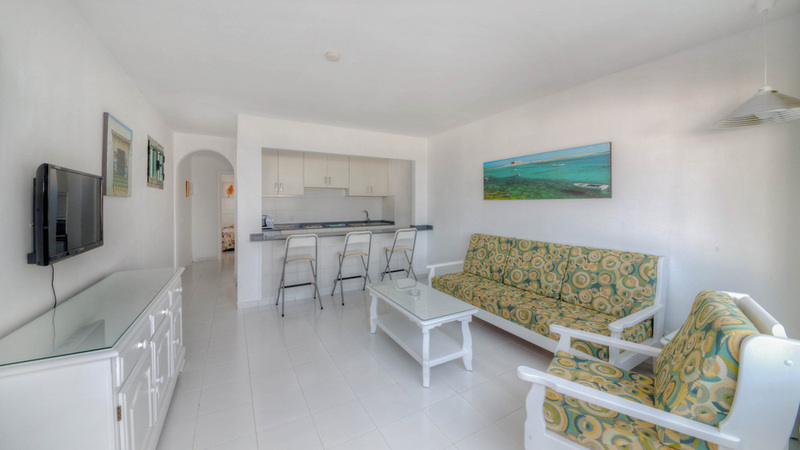 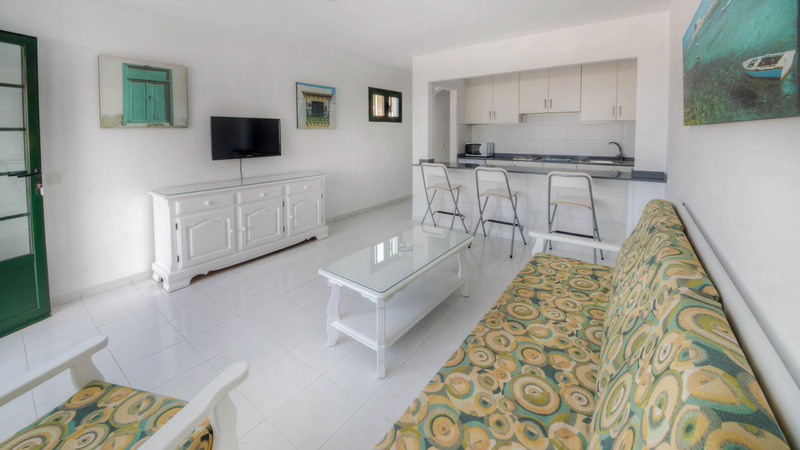 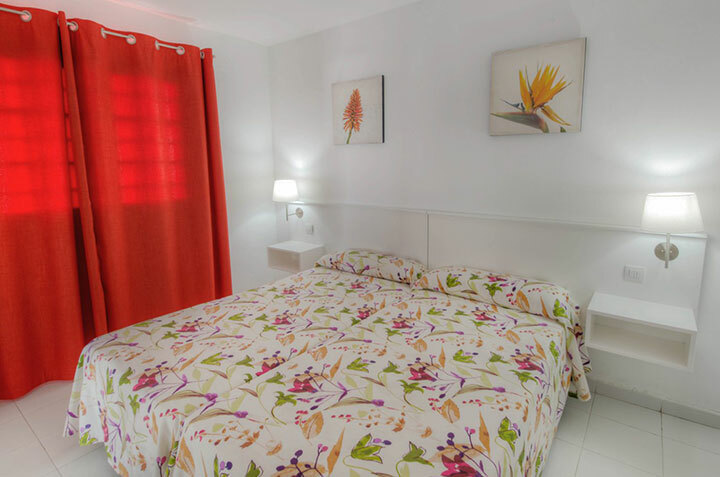 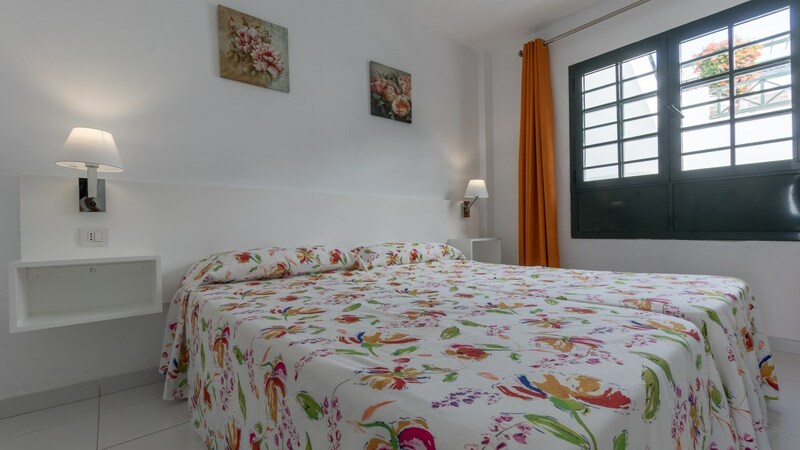 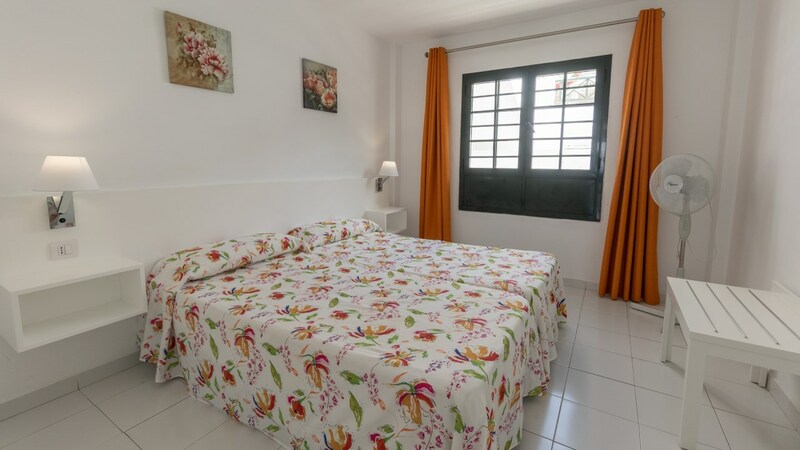 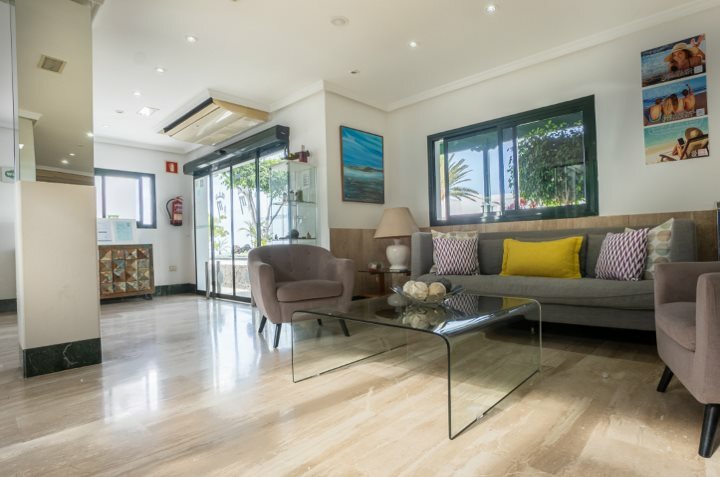 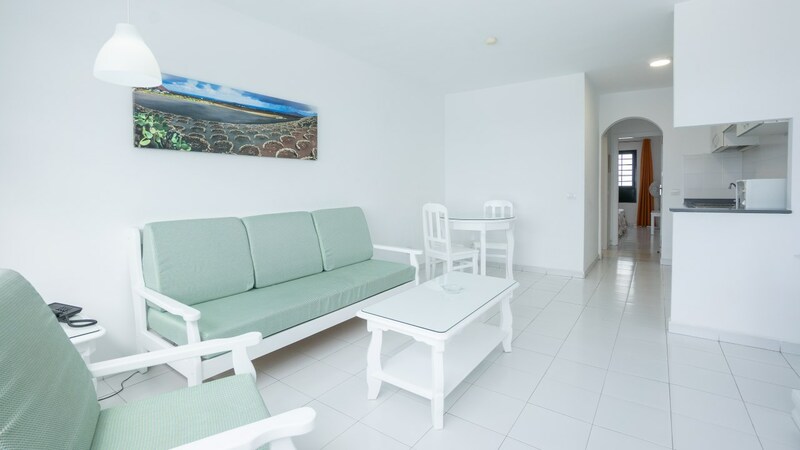 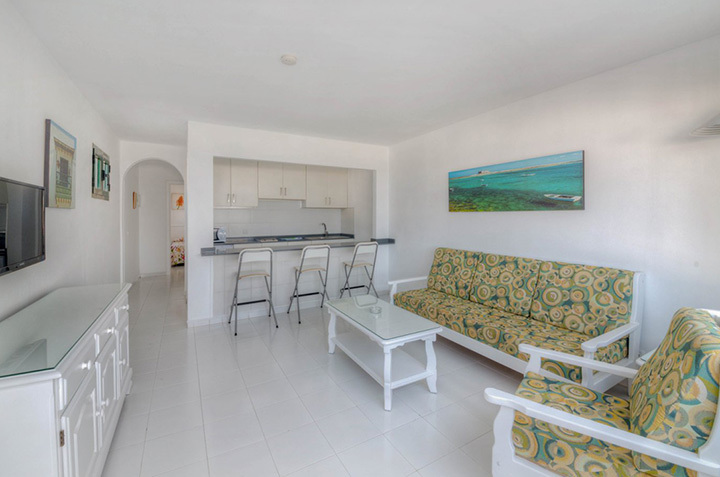 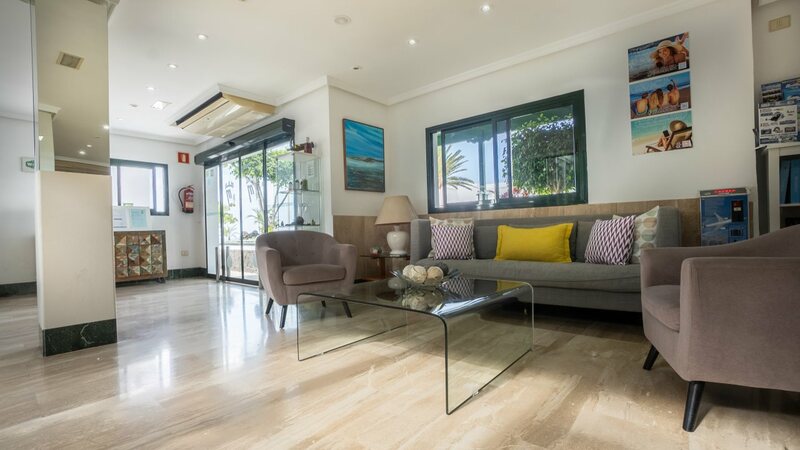 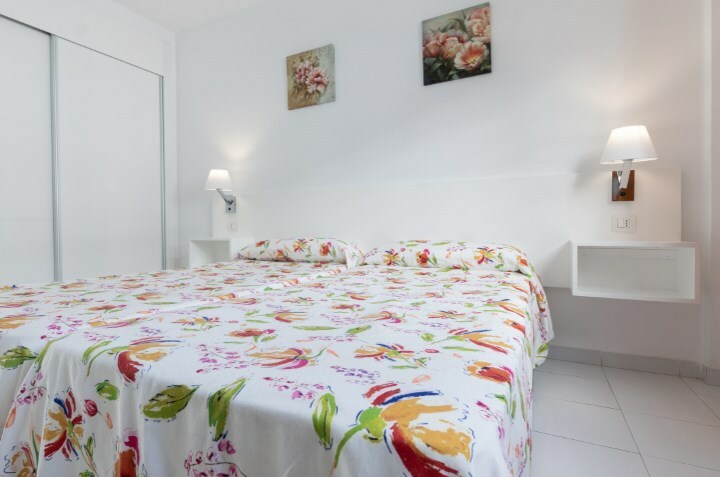 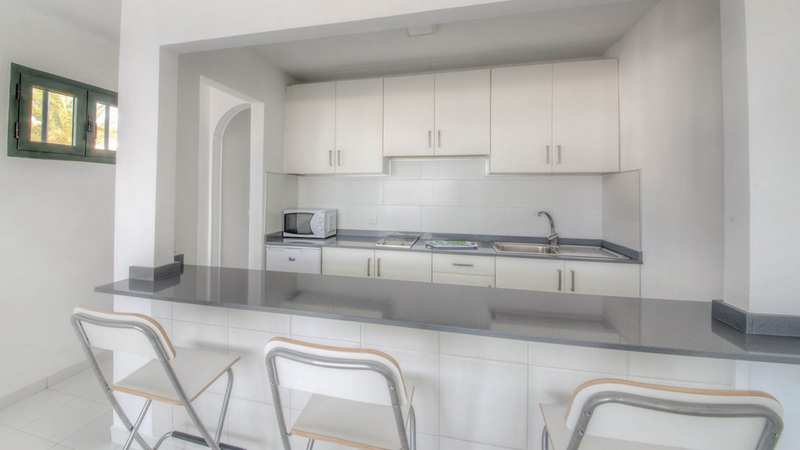 During your stay you will enjoy Playa Grande, leisure and commercial offer of Avenida de las Playas and in the area of the old town, entertainment and all the best restaurants on the island.